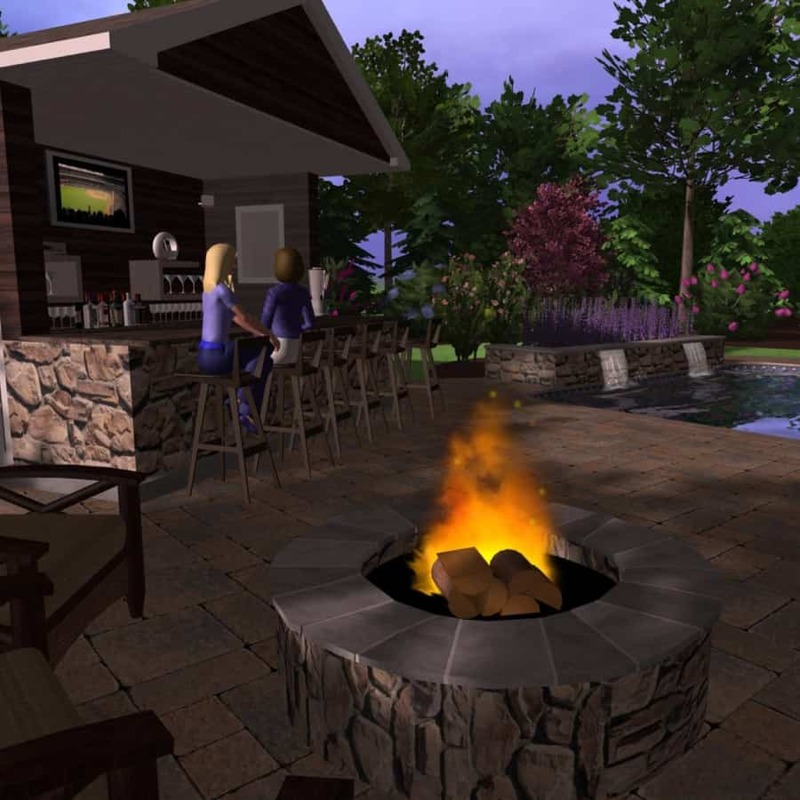 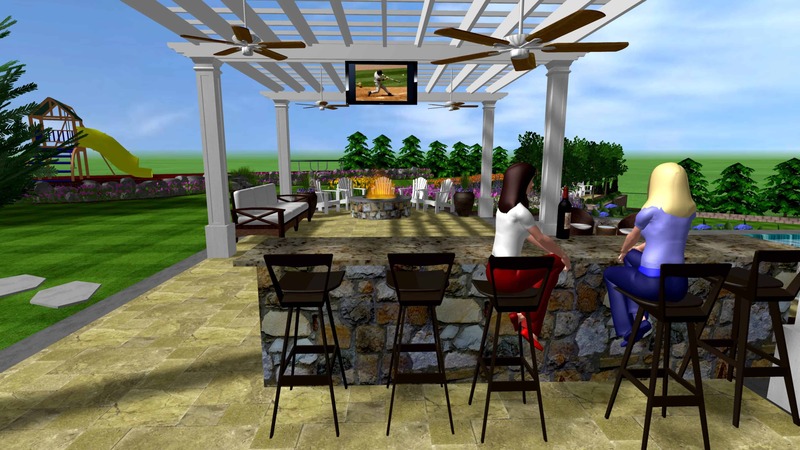 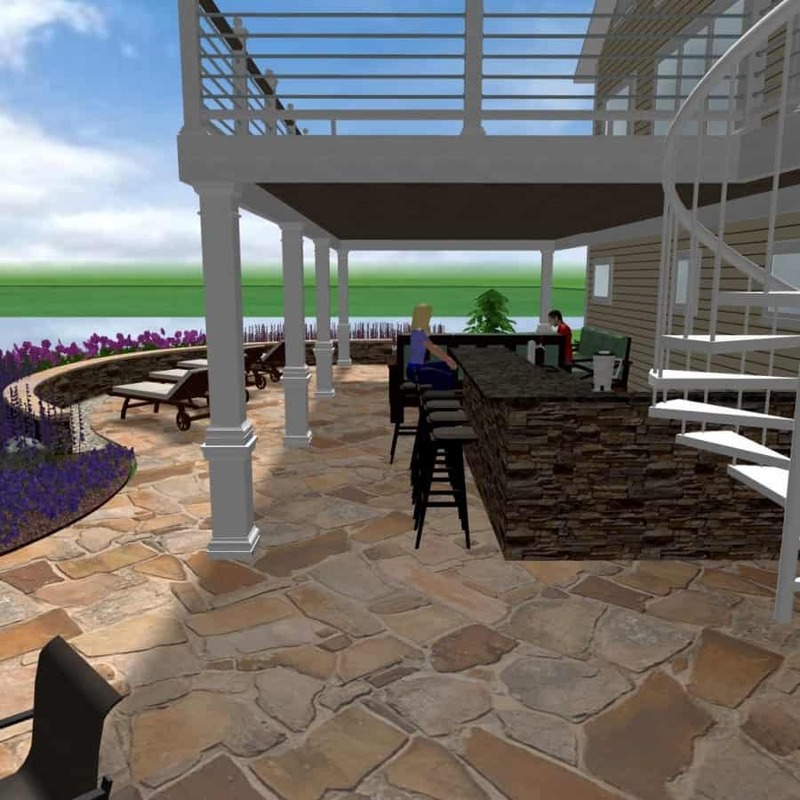 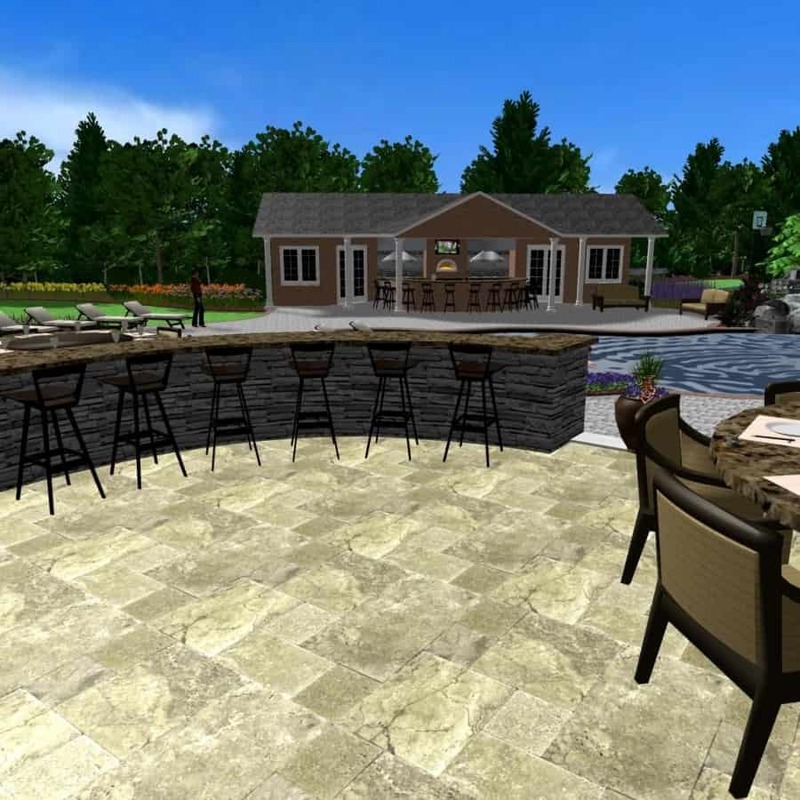 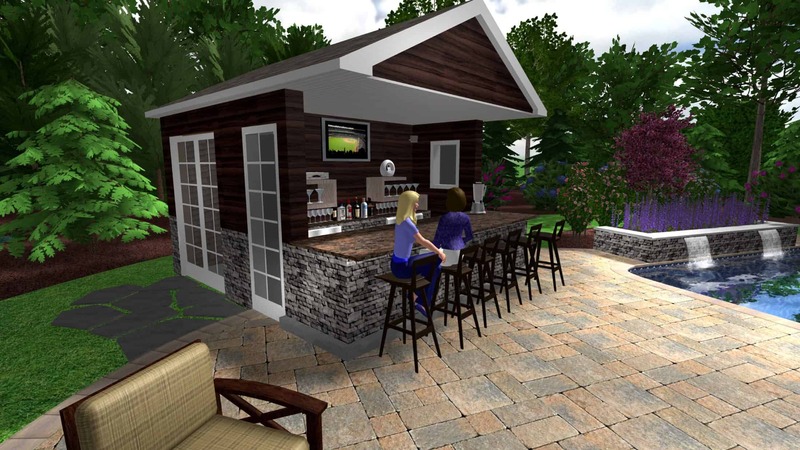 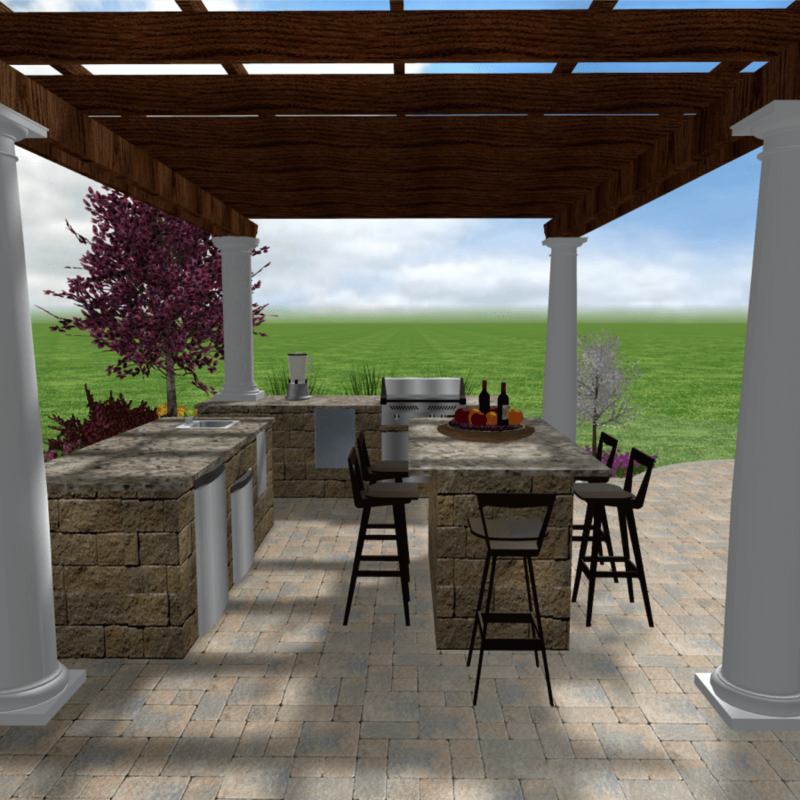 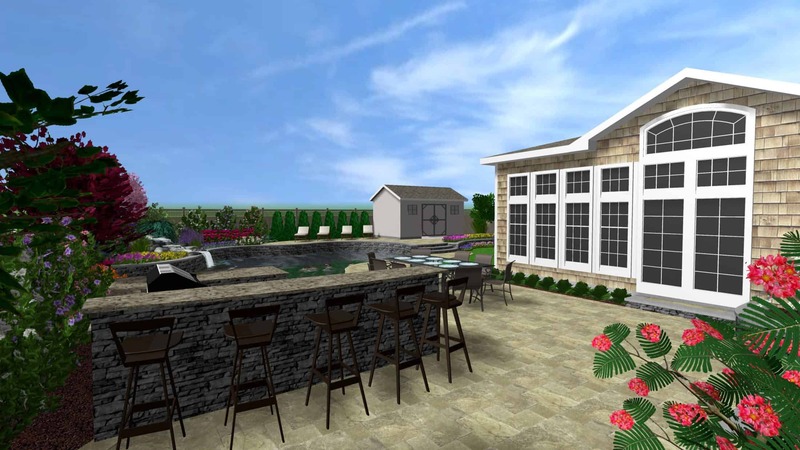 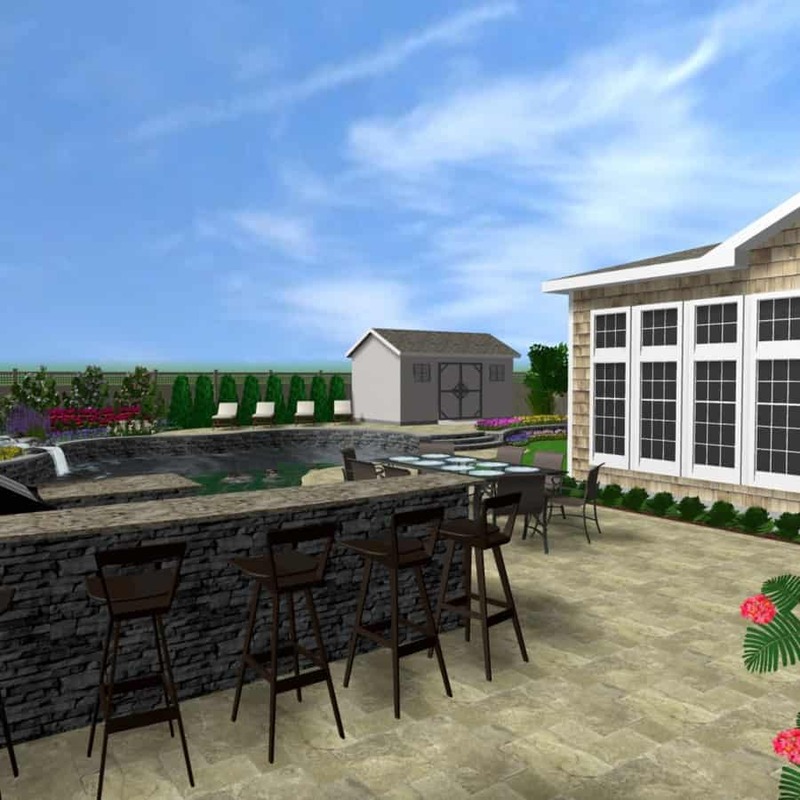 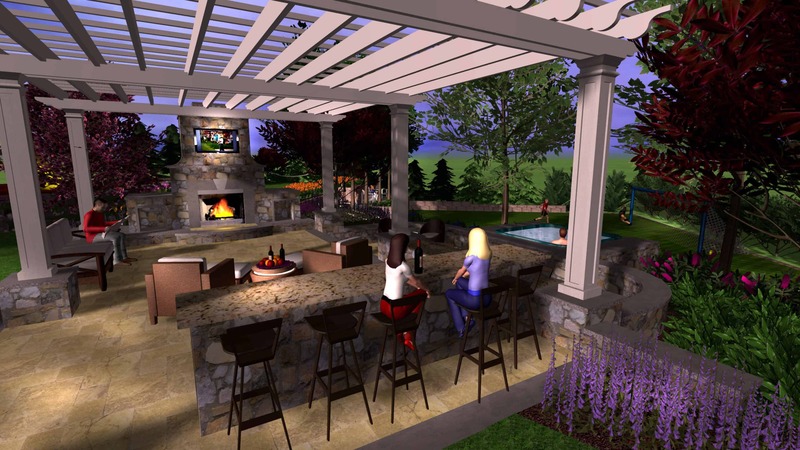 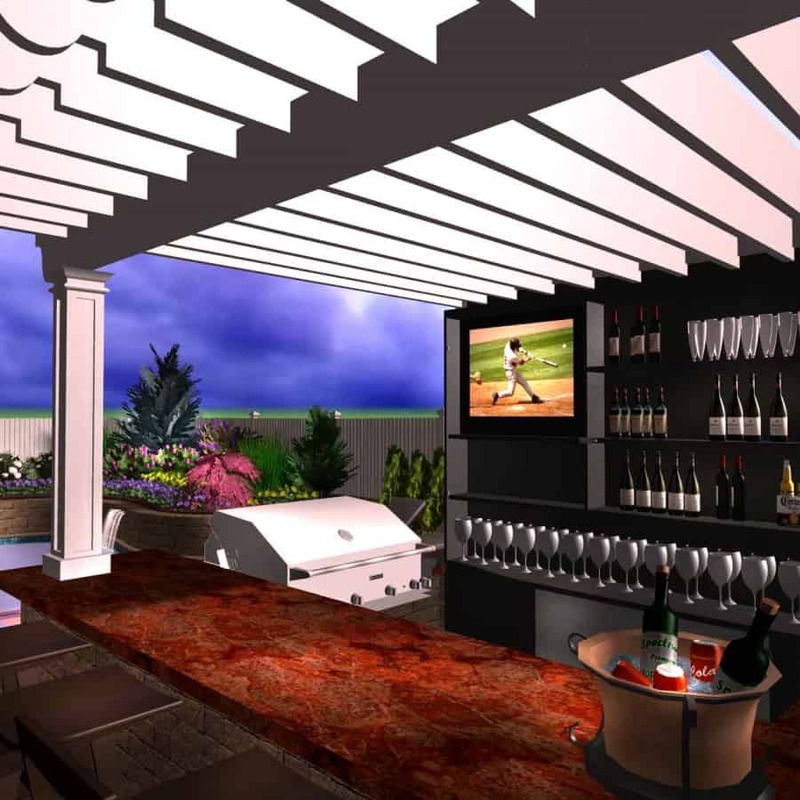 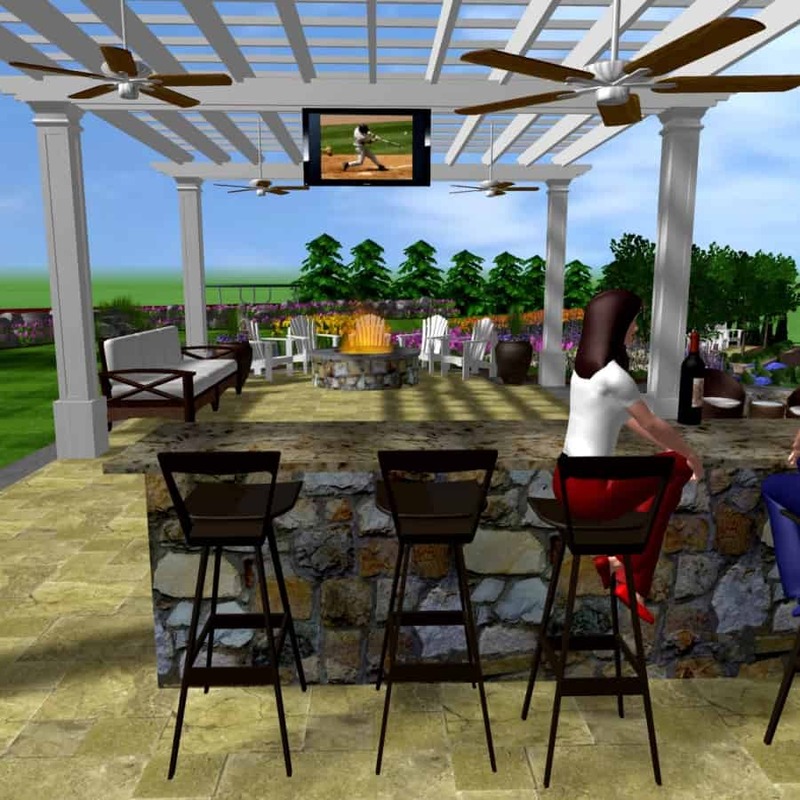 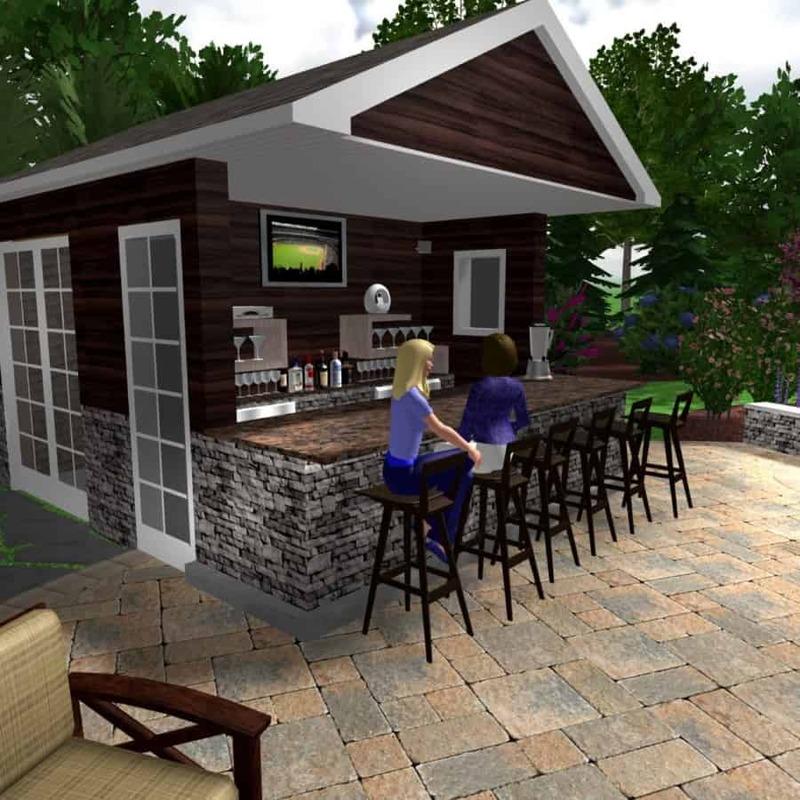 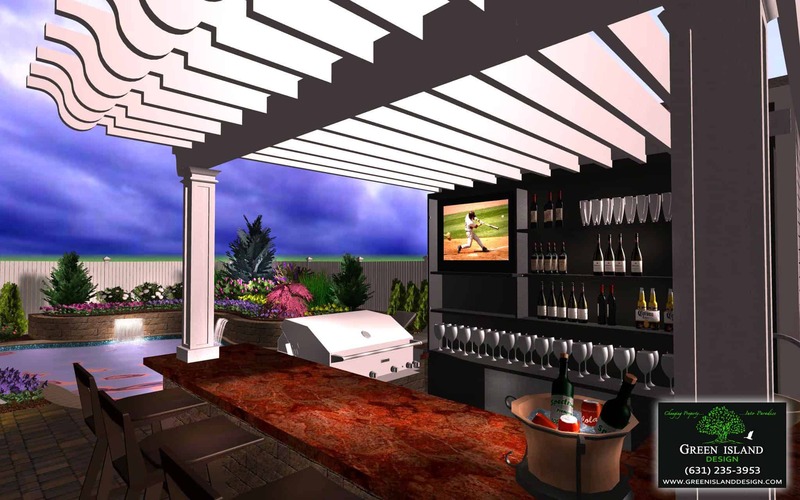 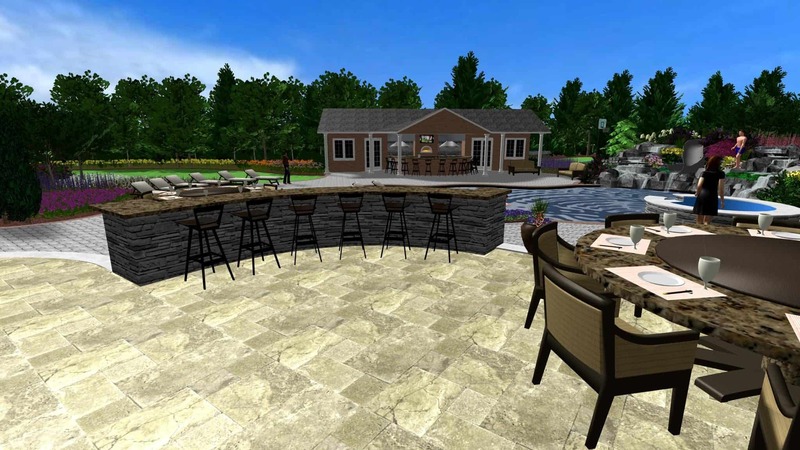 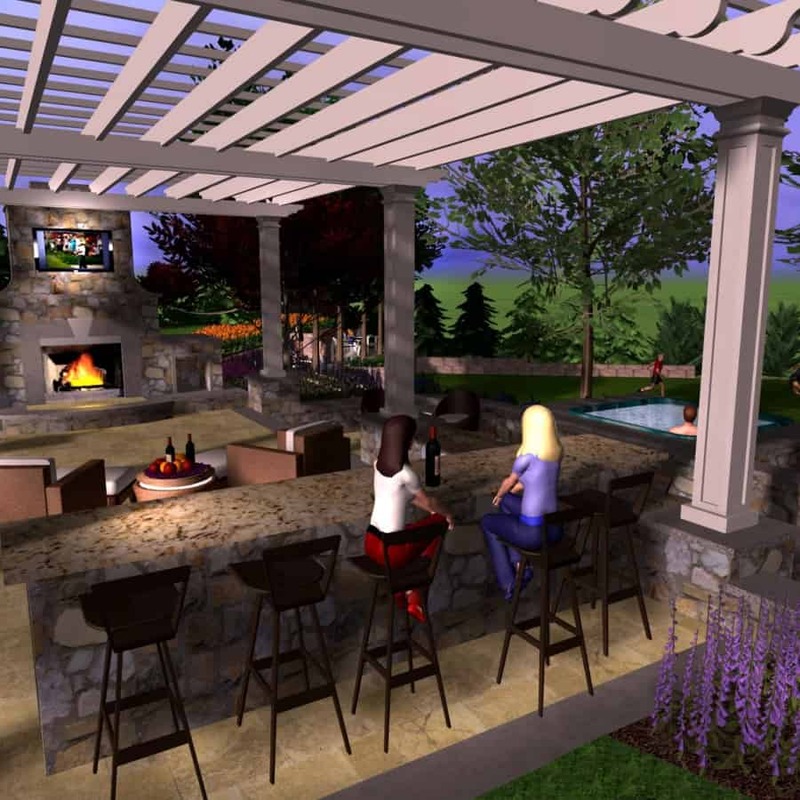 Our Outdoor Kitchen & Bar Renderings allow you to see your potential outdoor dining project built before we ever break ground! 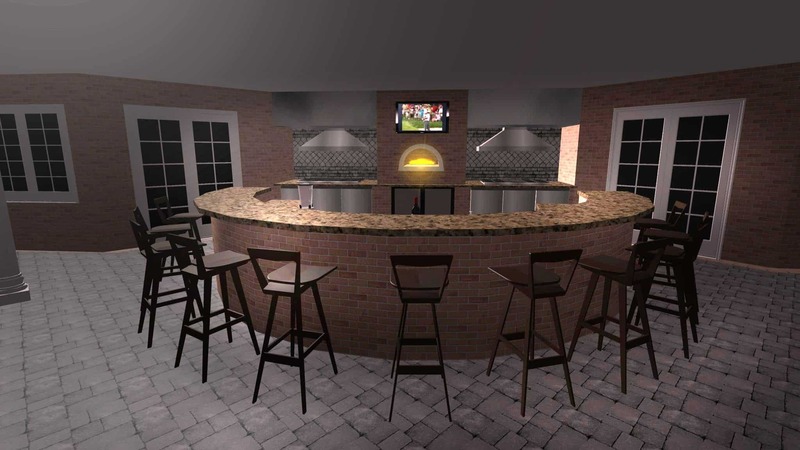 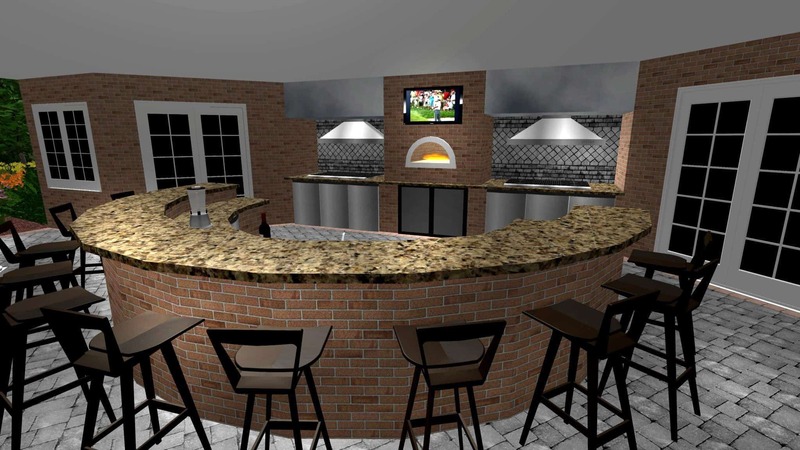 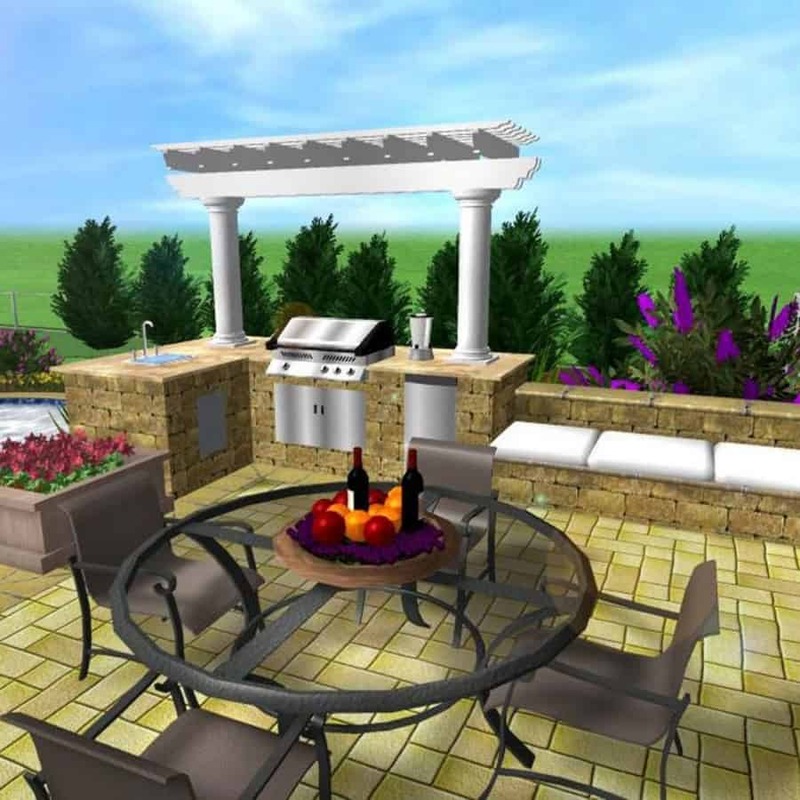 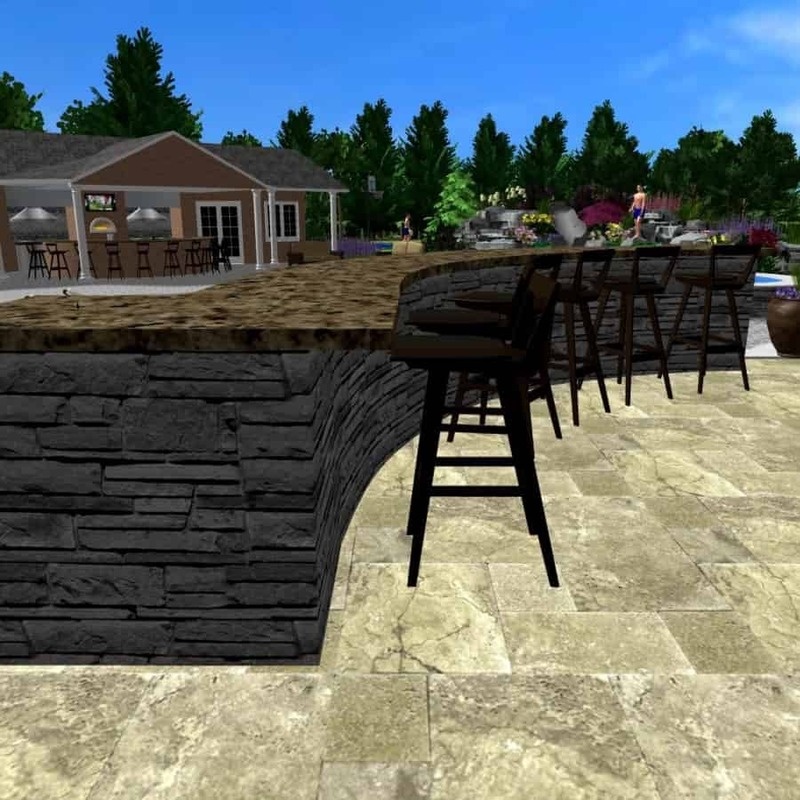 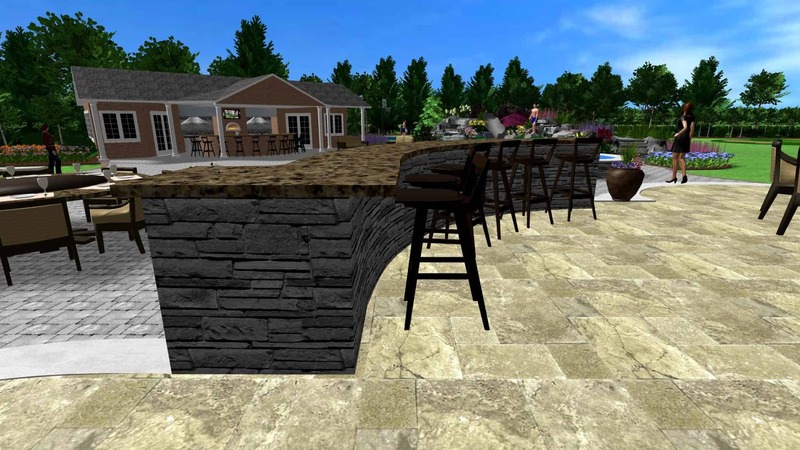 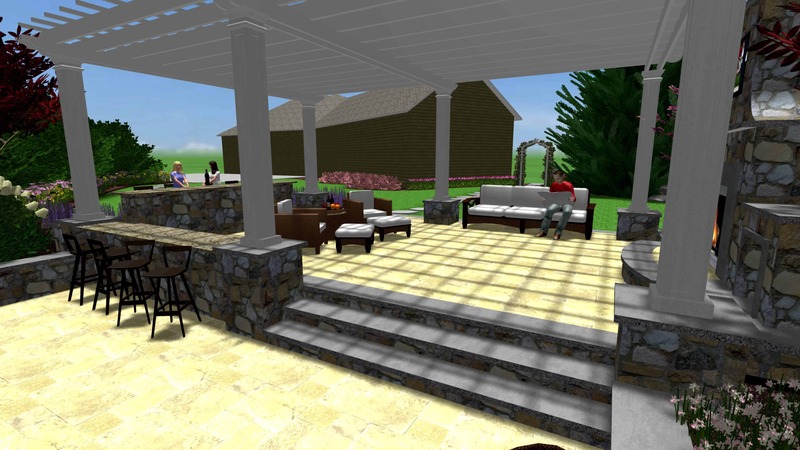 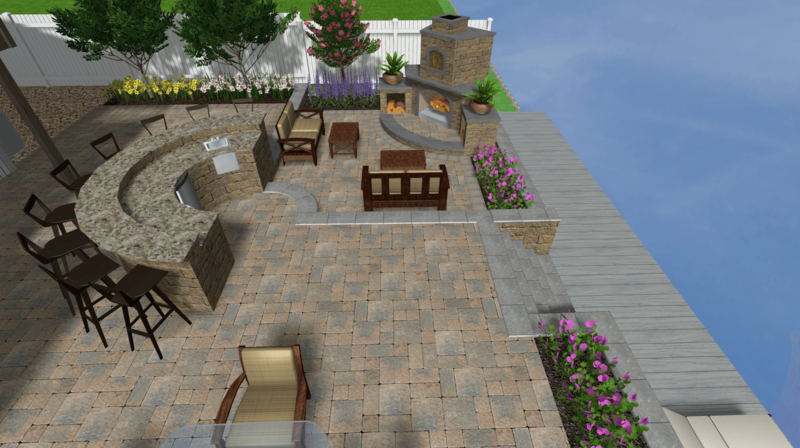 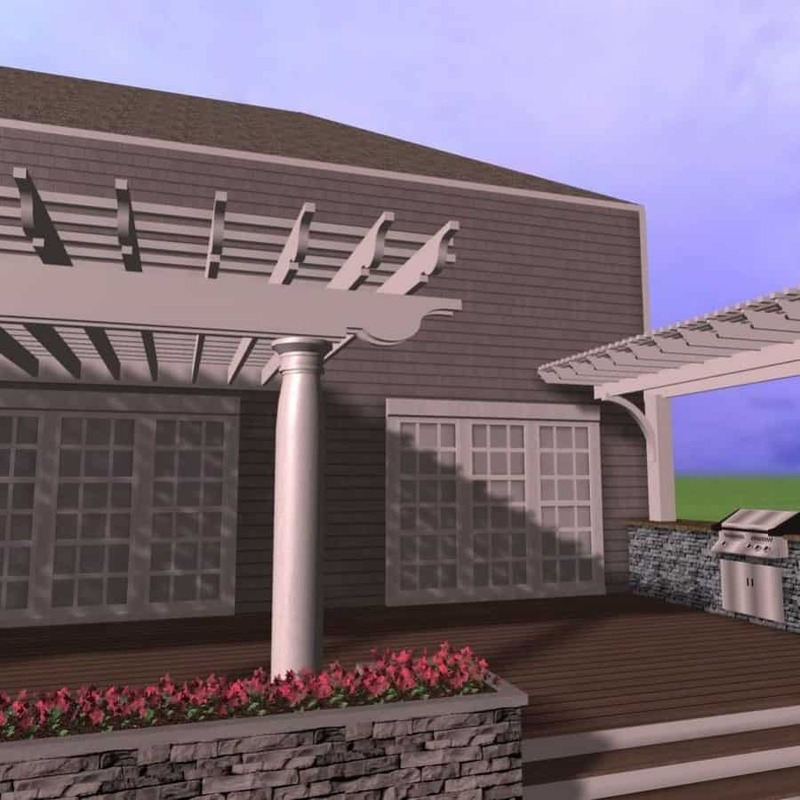 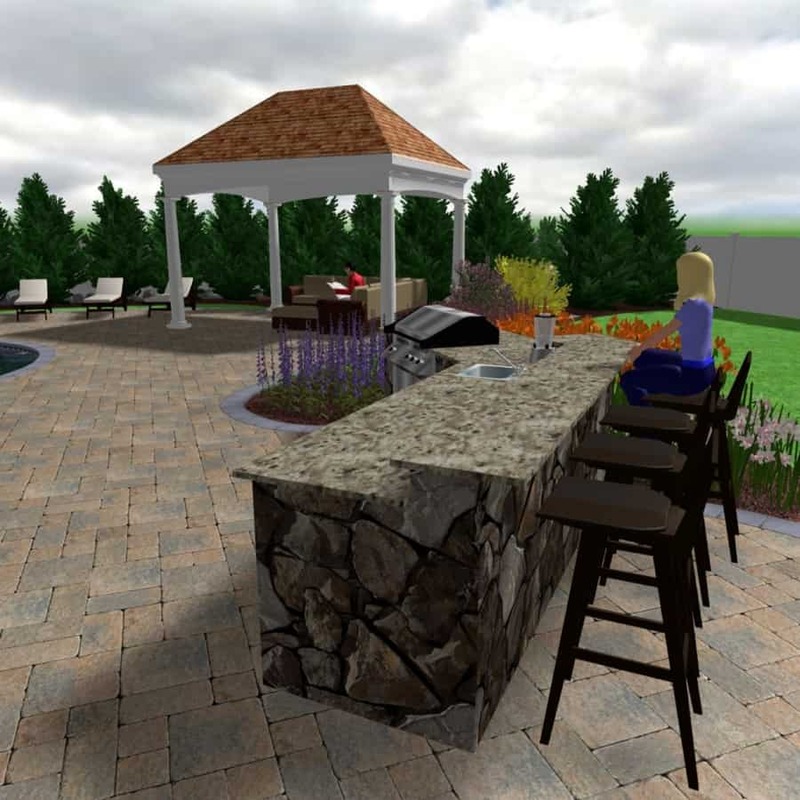 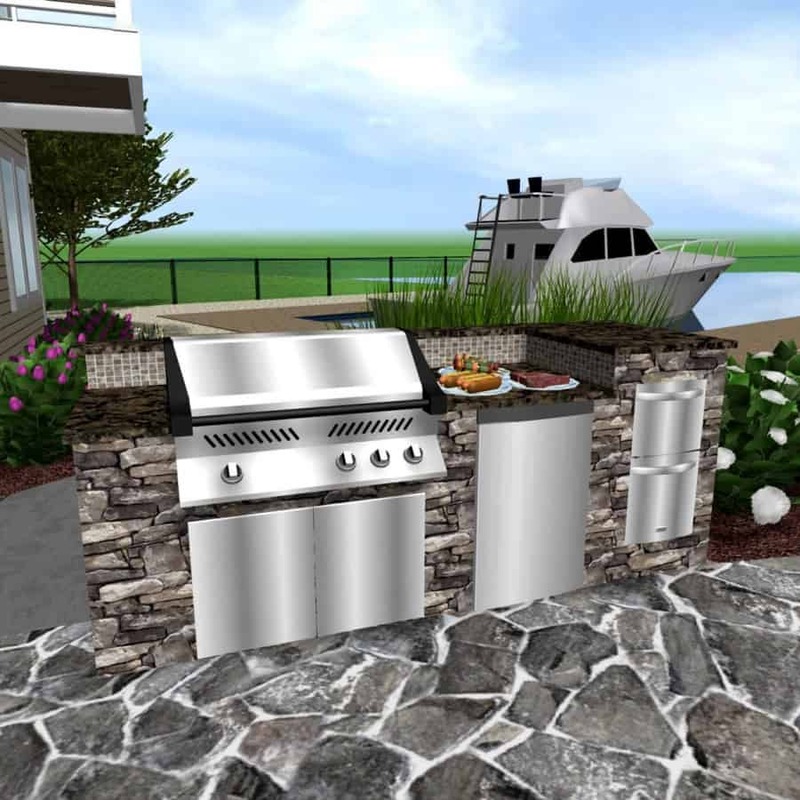 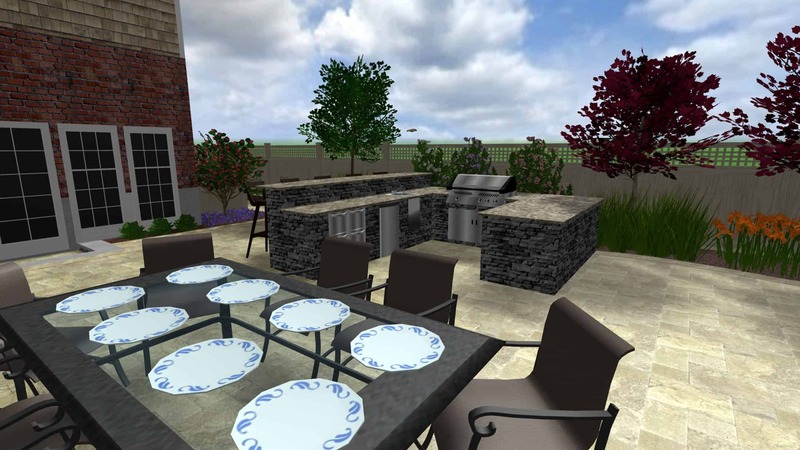 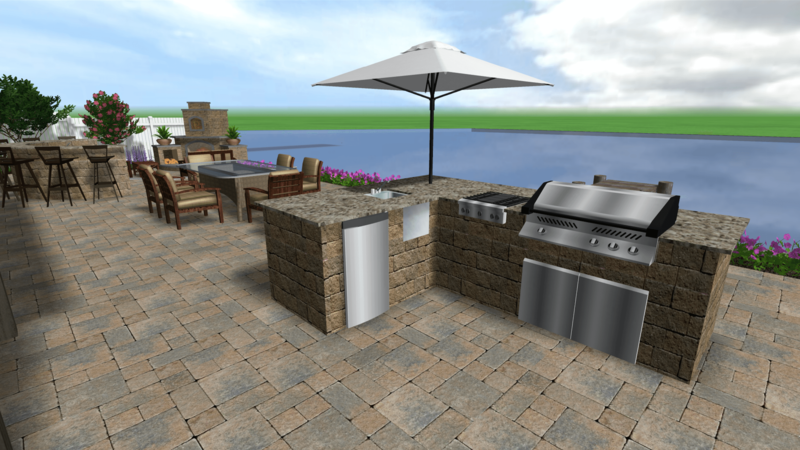 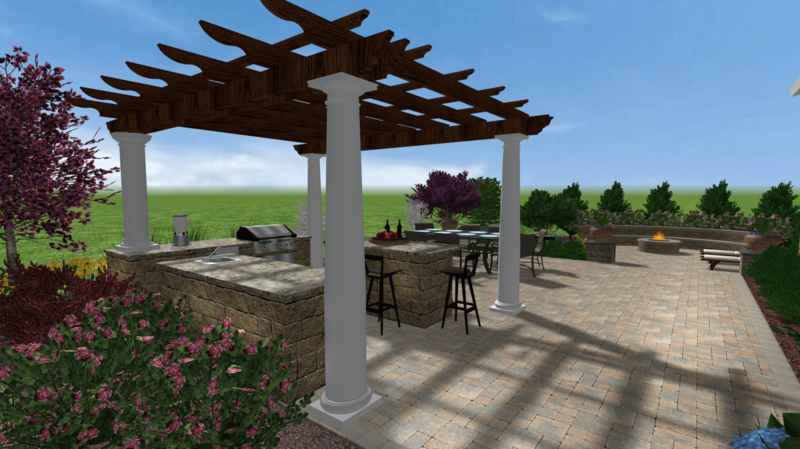 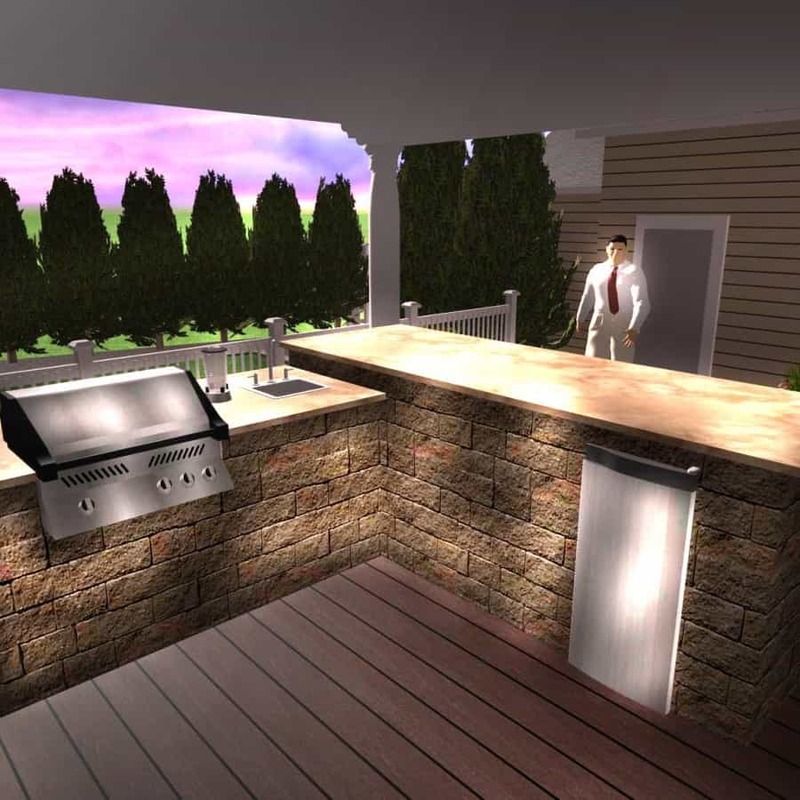 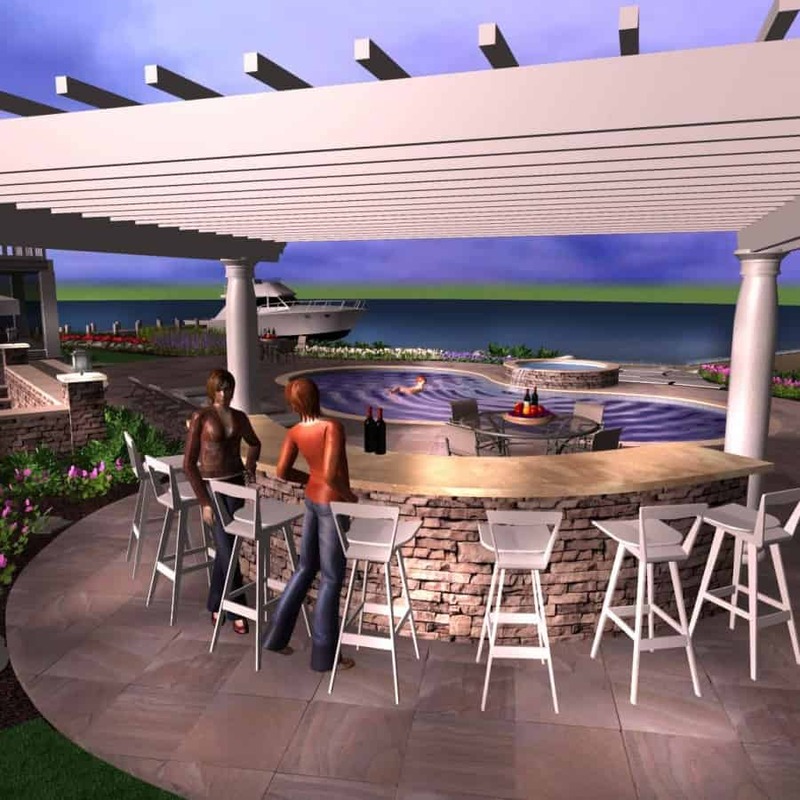 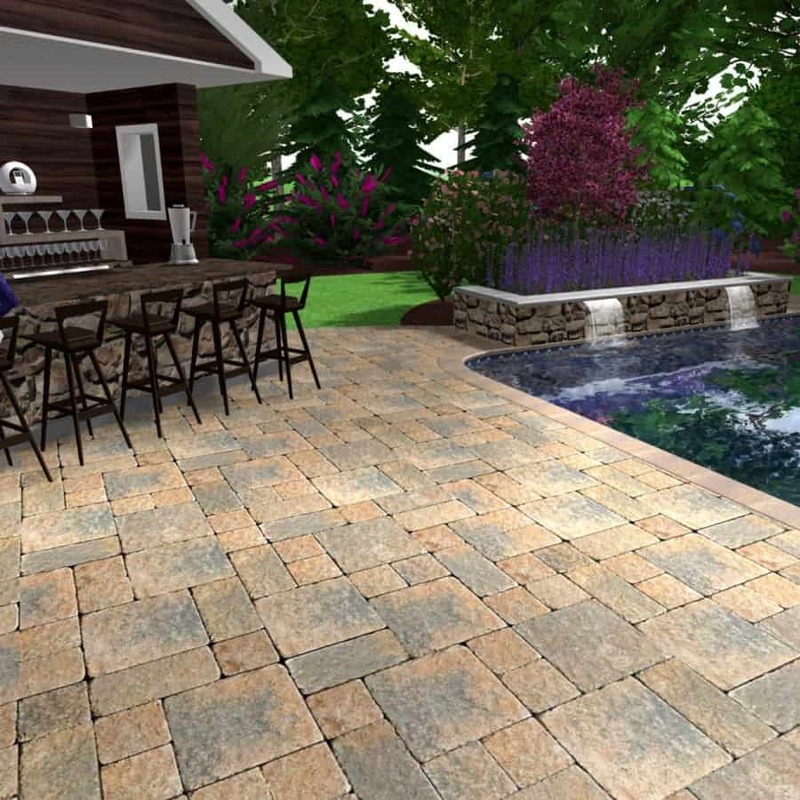 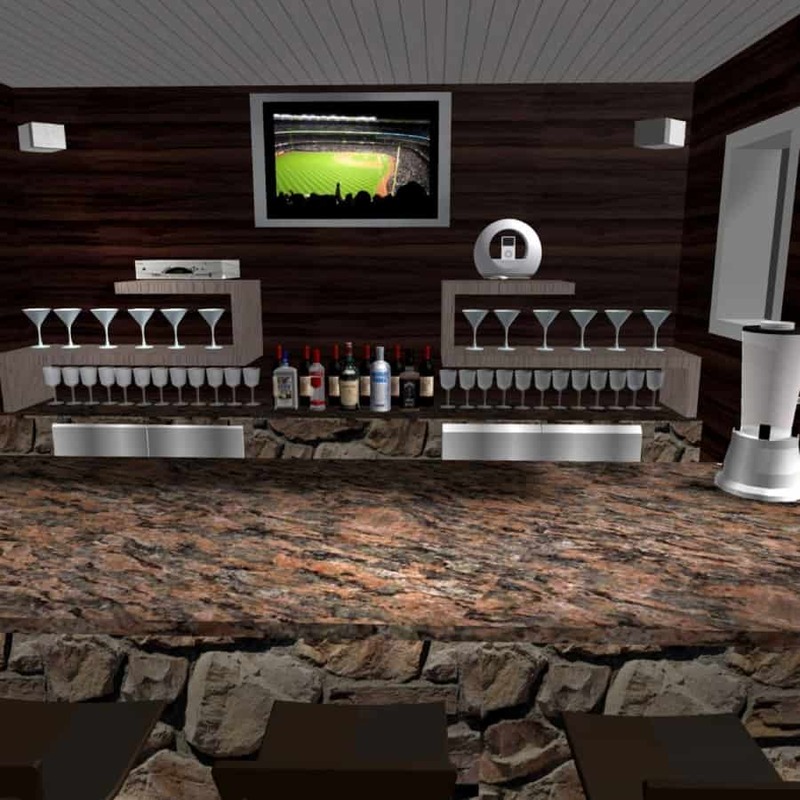 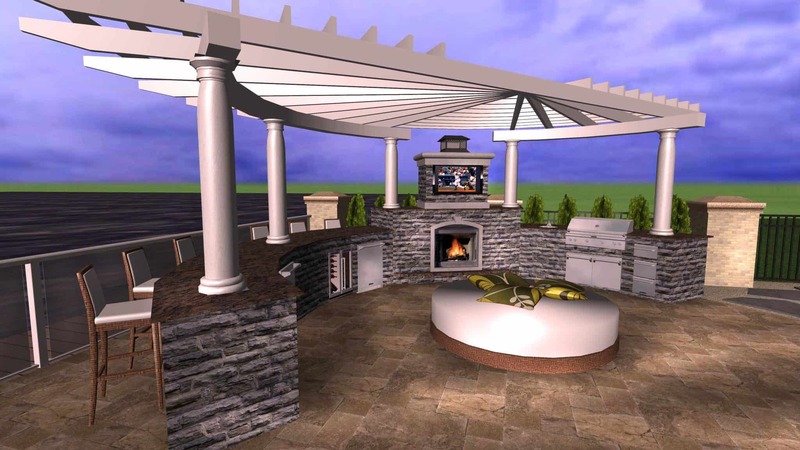 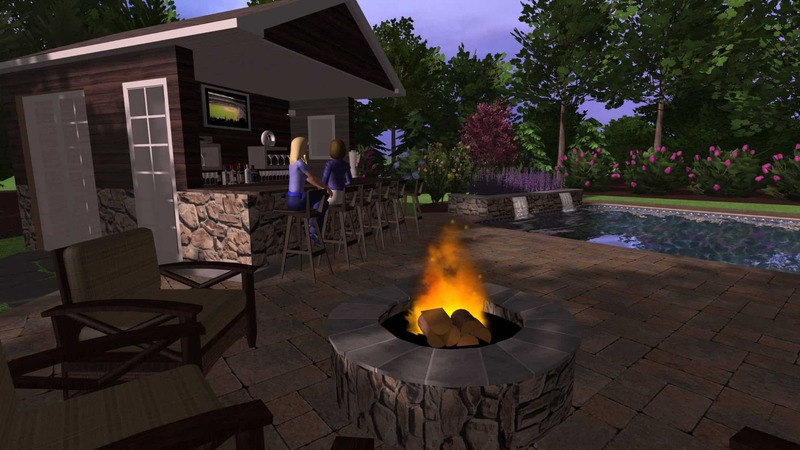 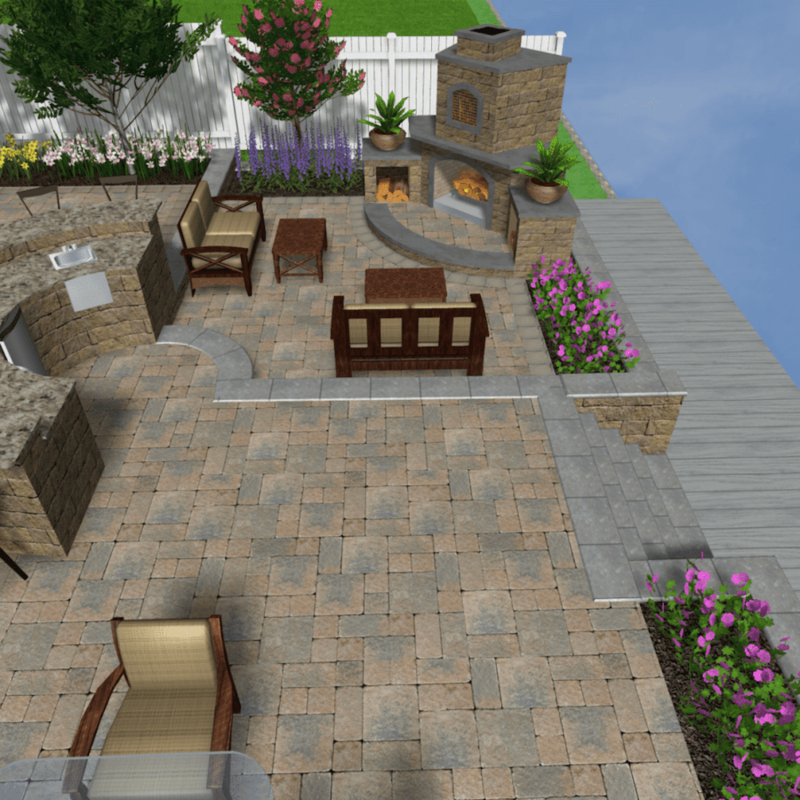 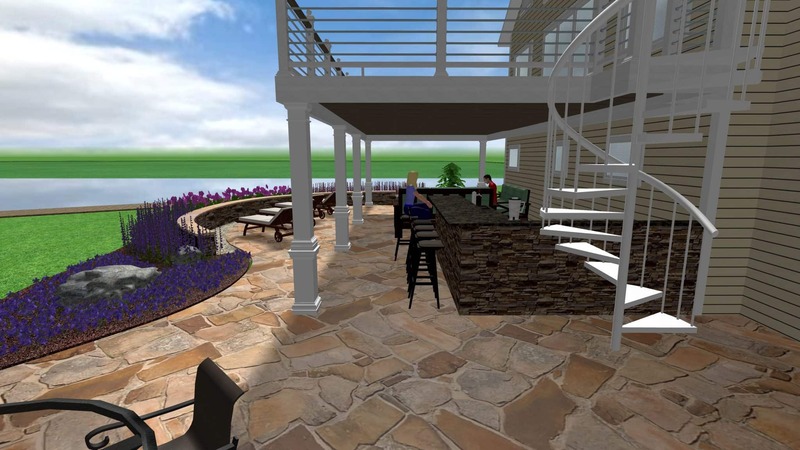 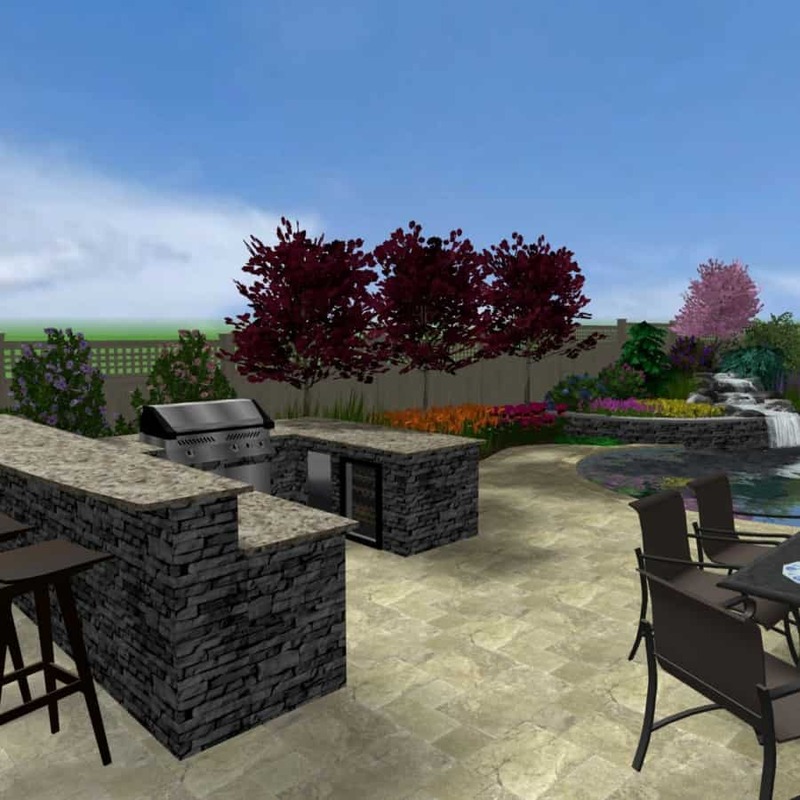 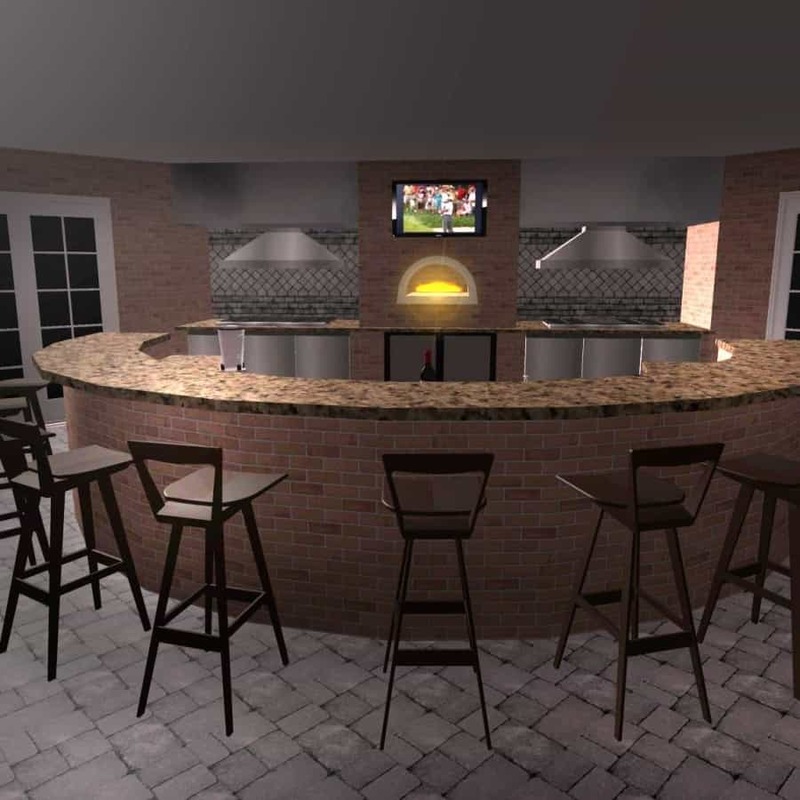 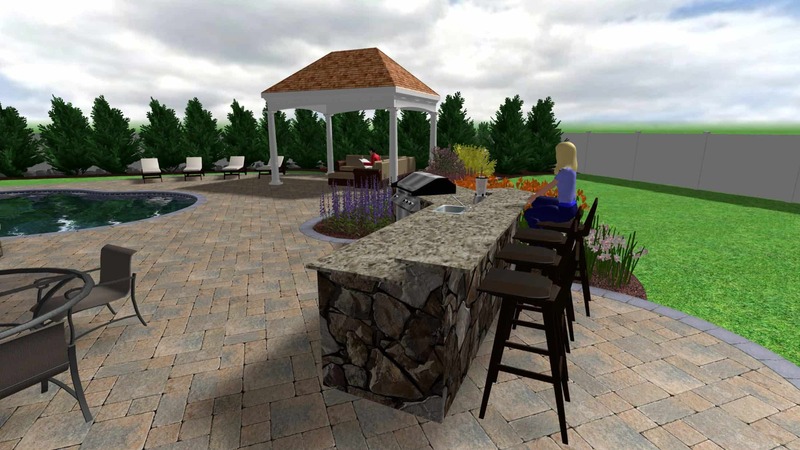 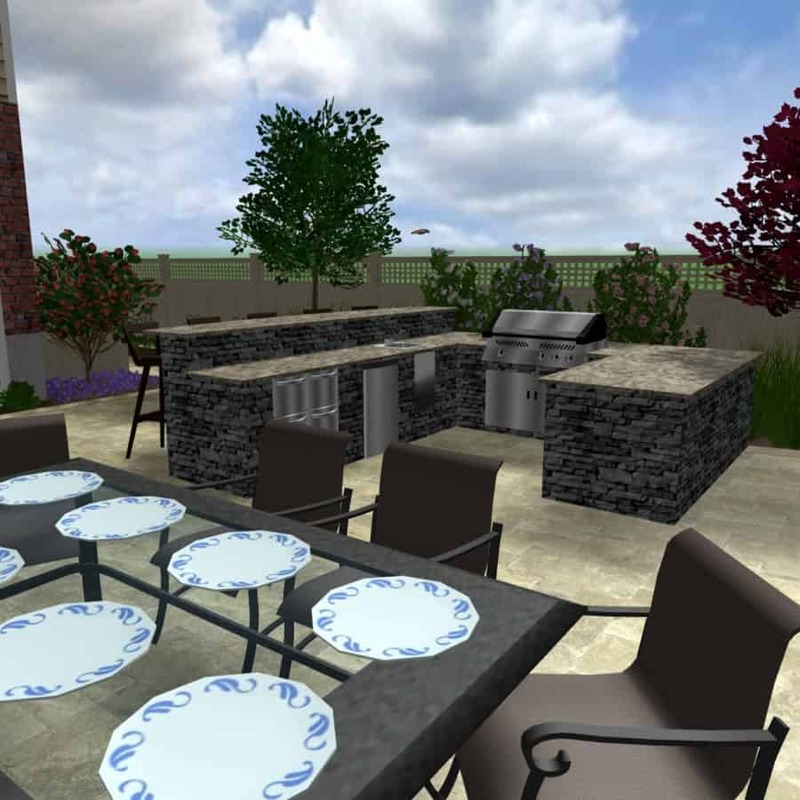 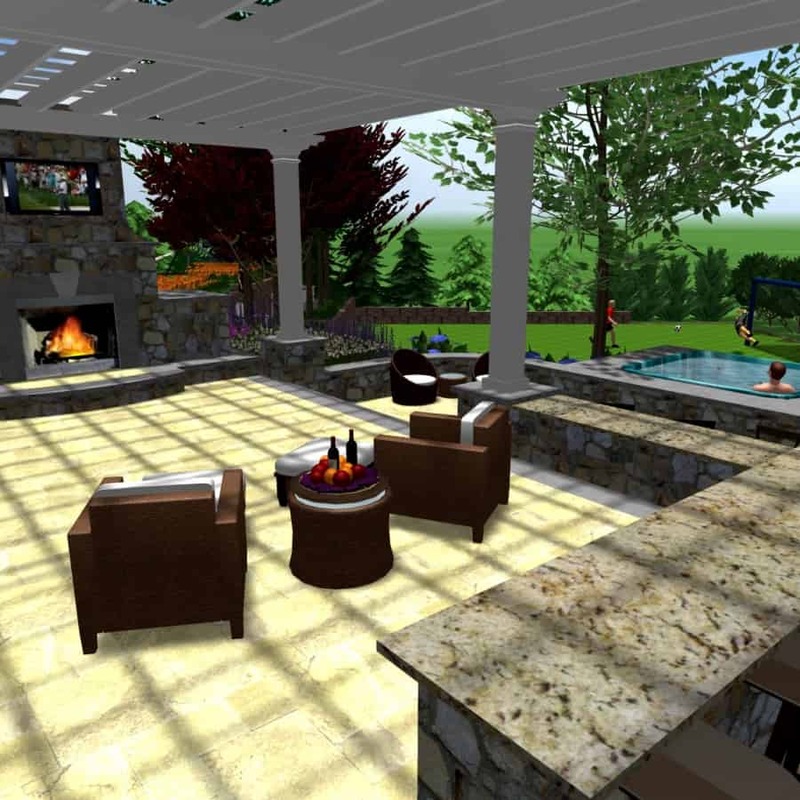 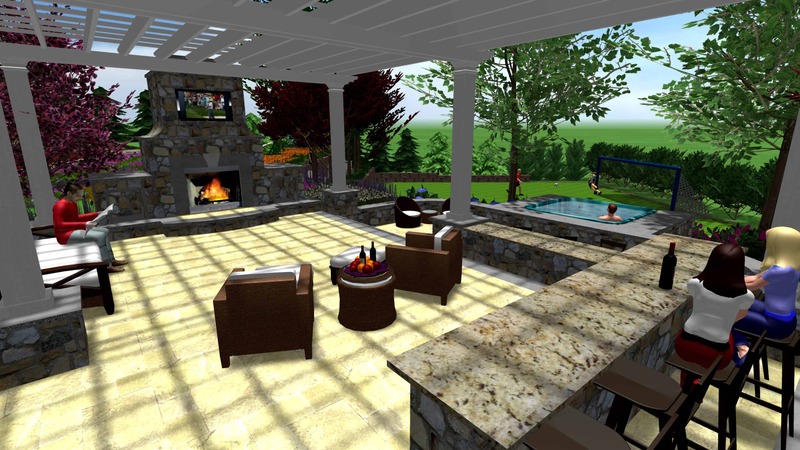 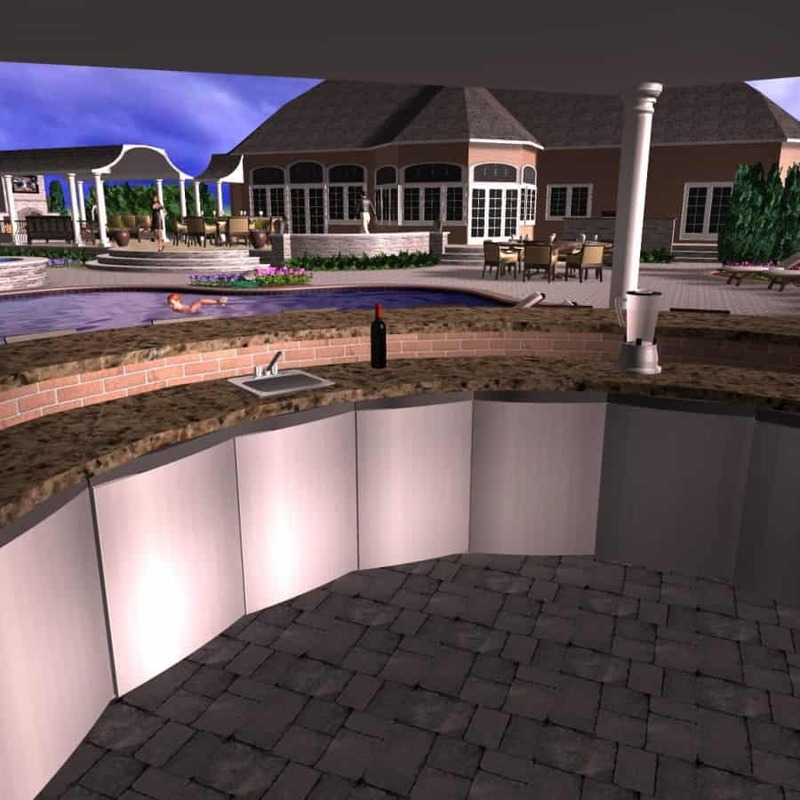 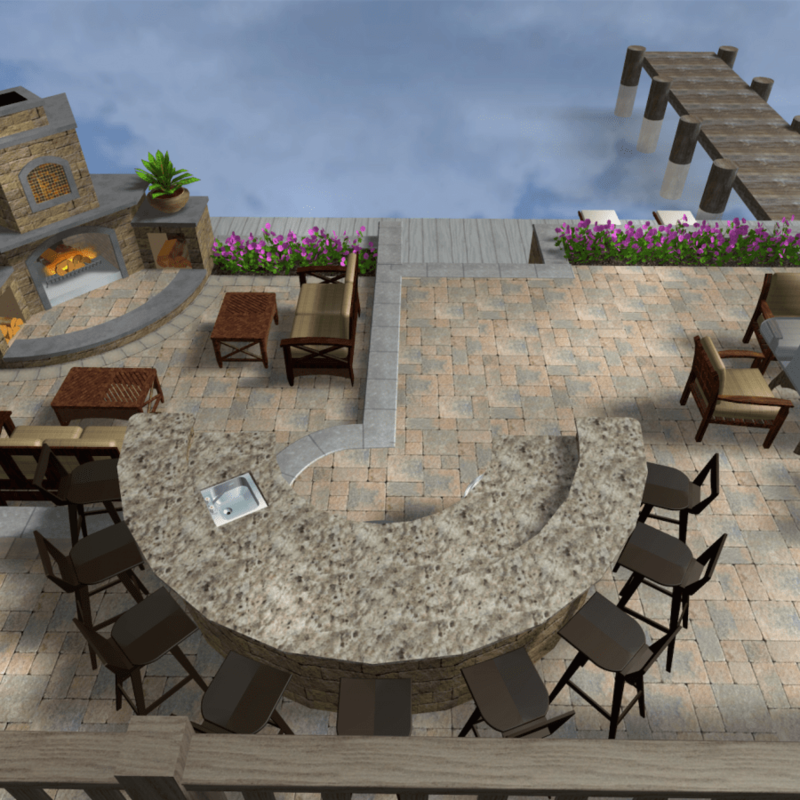 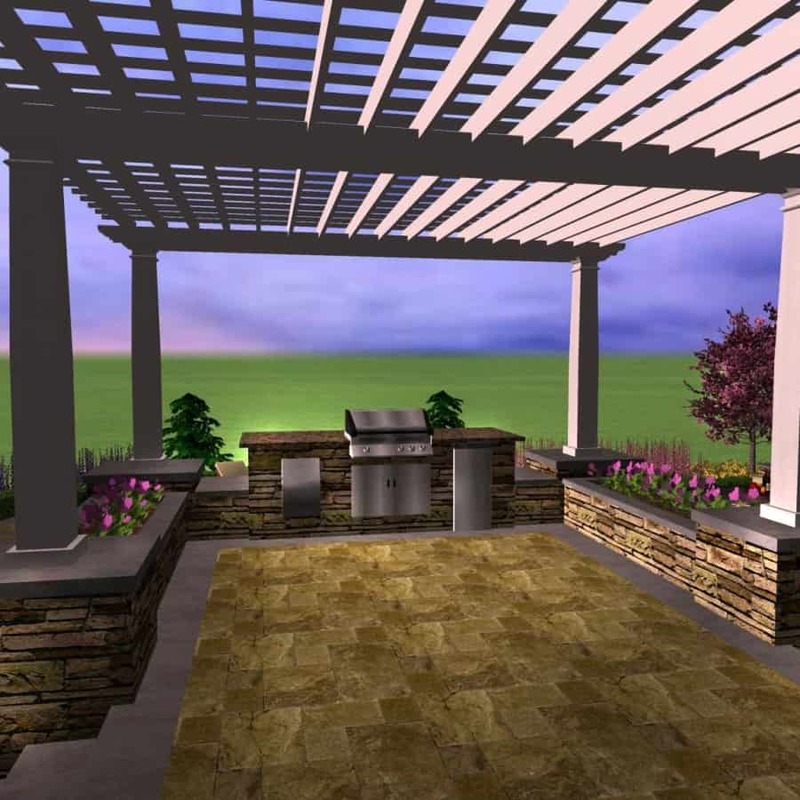 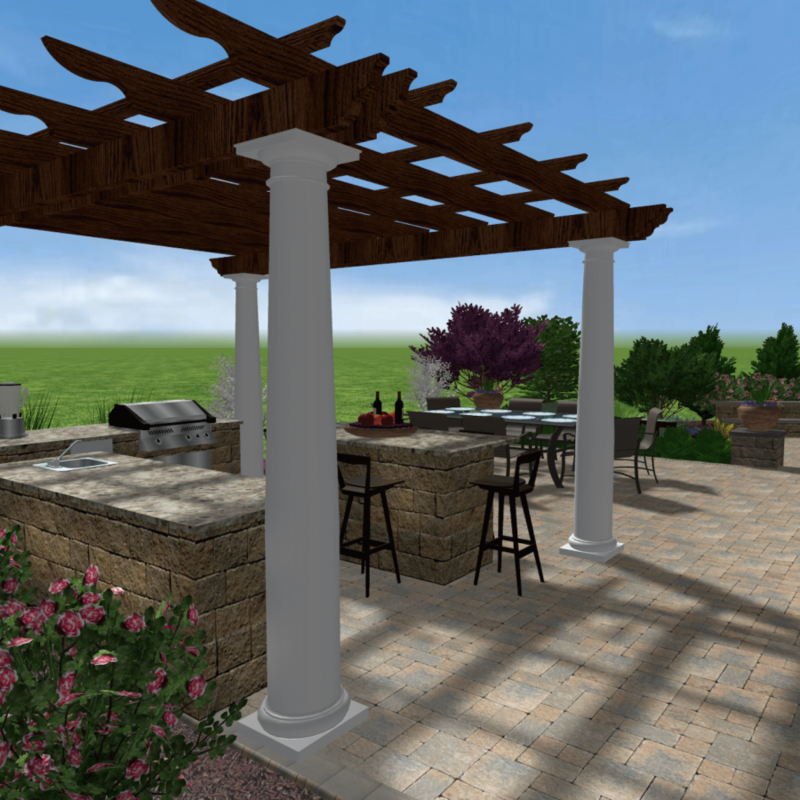 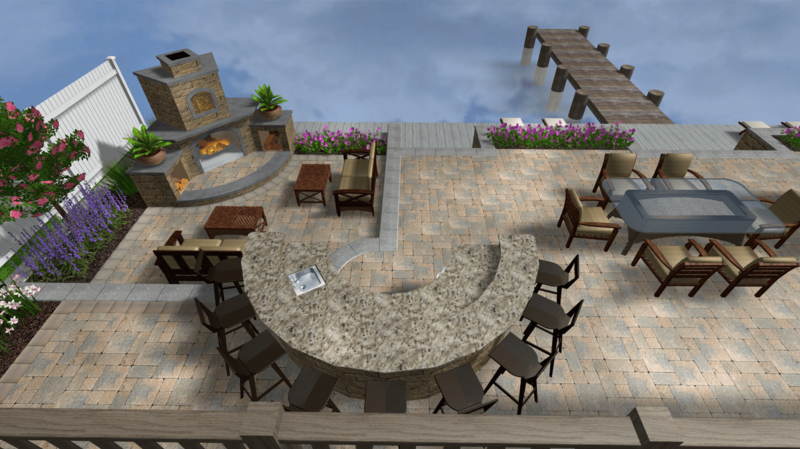 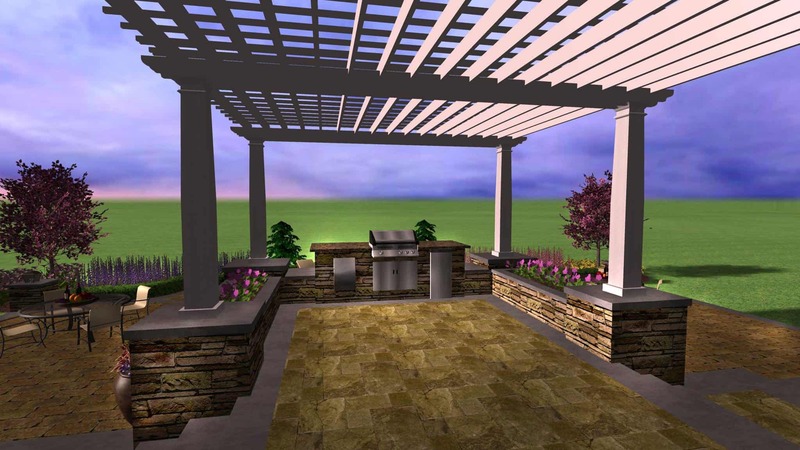 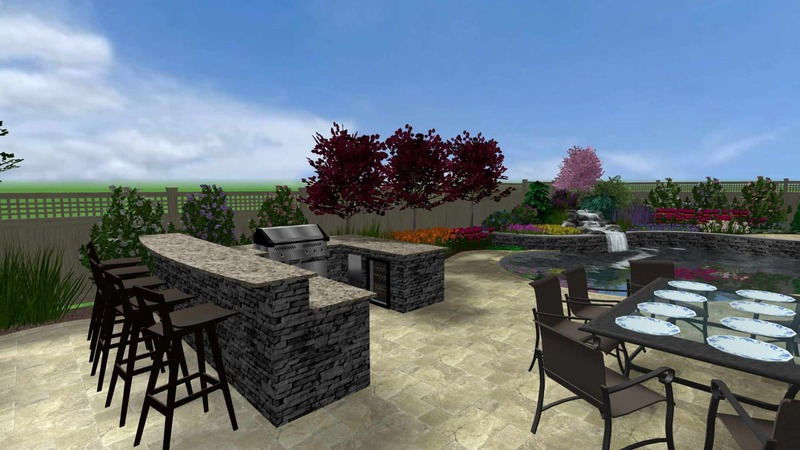 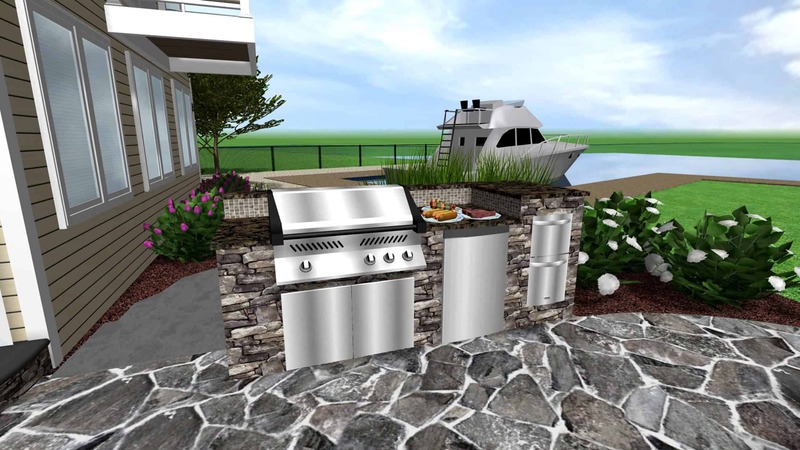 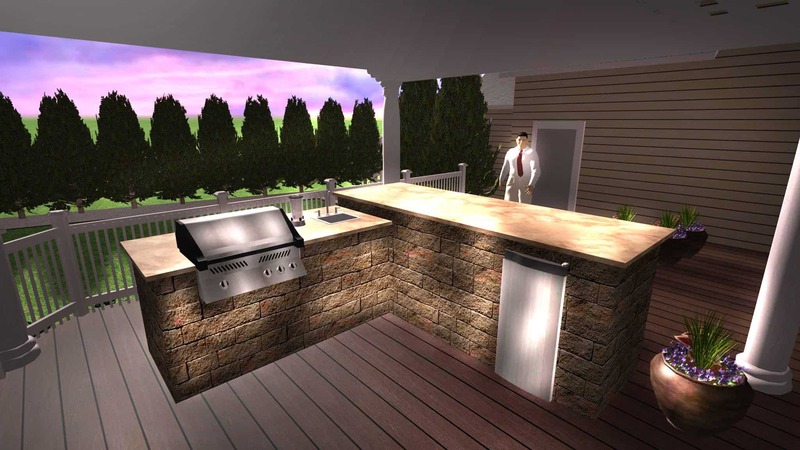 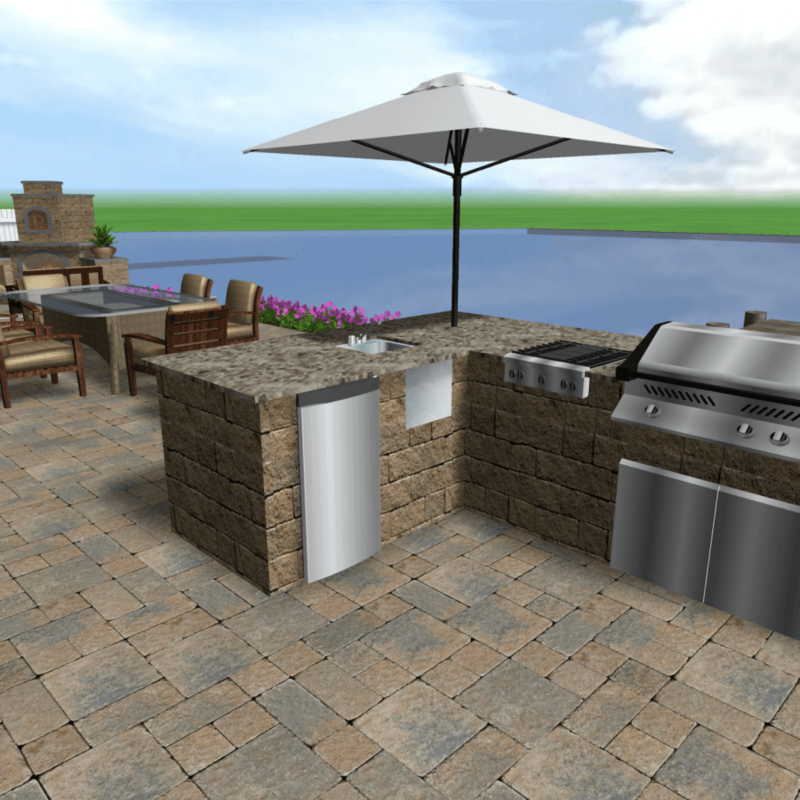 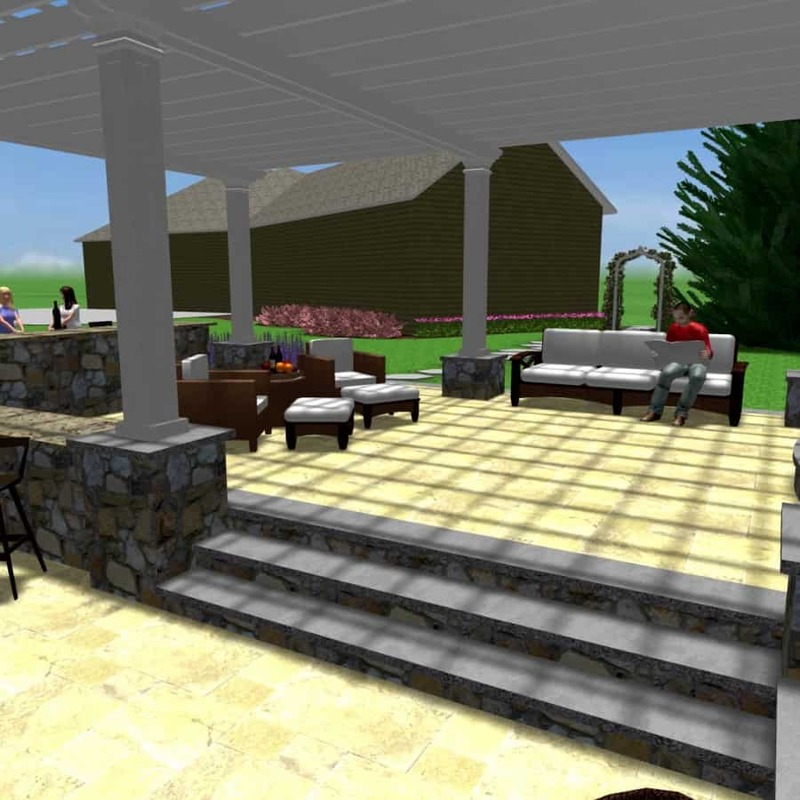 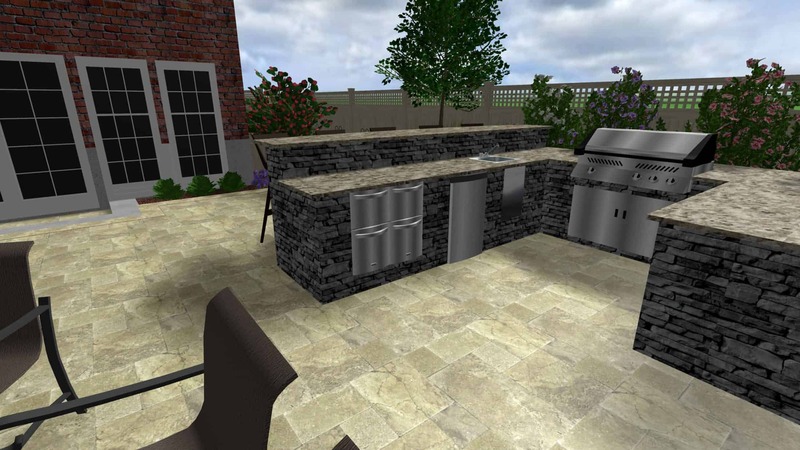 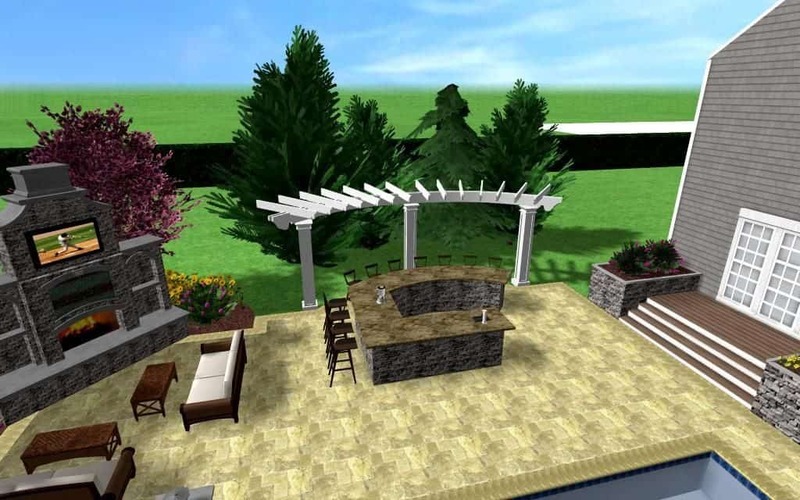 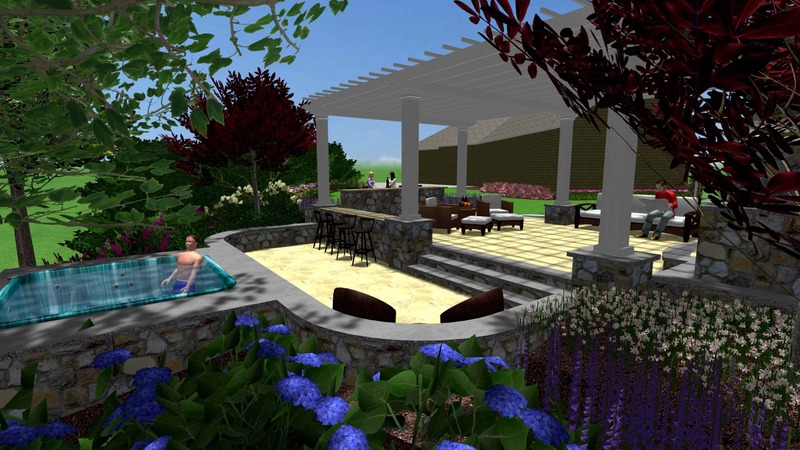 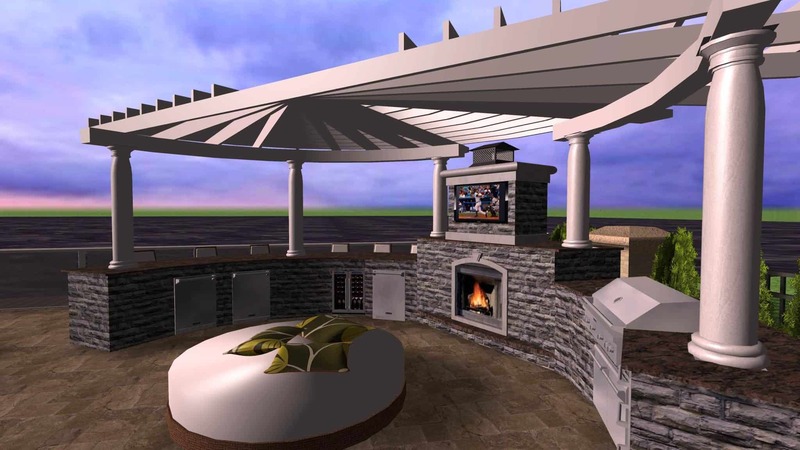 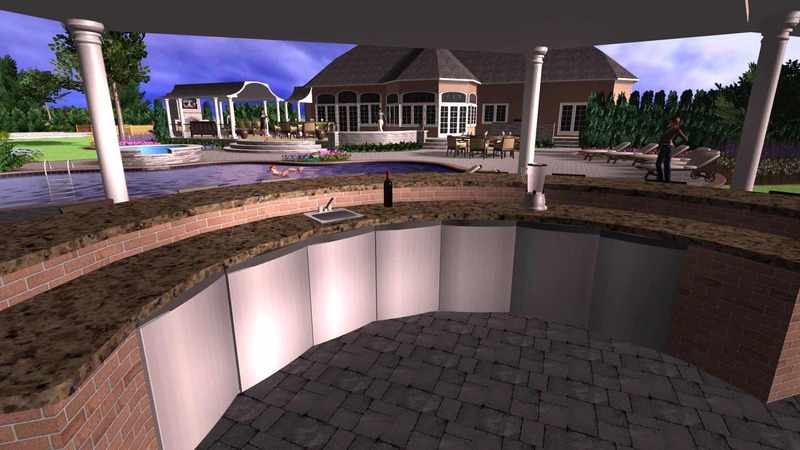 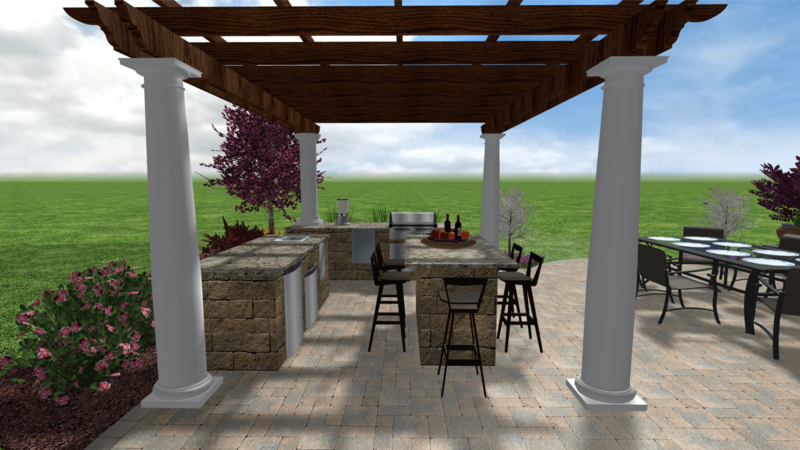 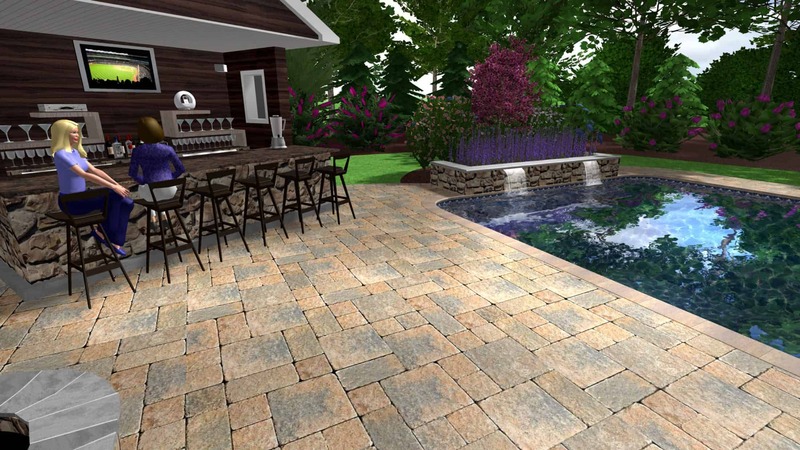 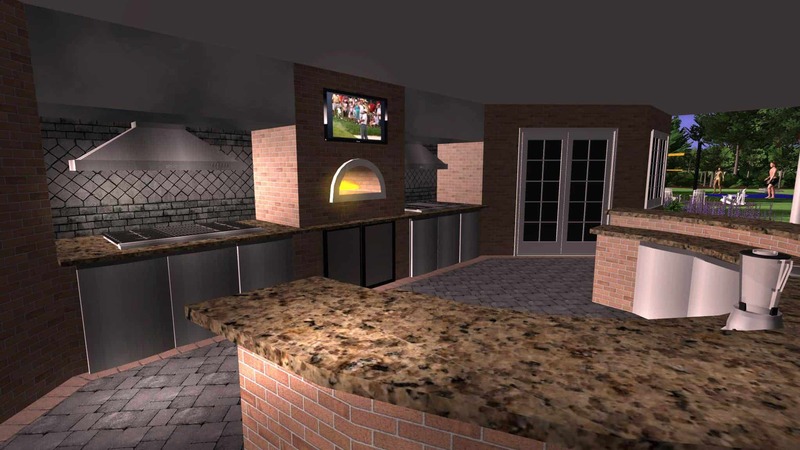 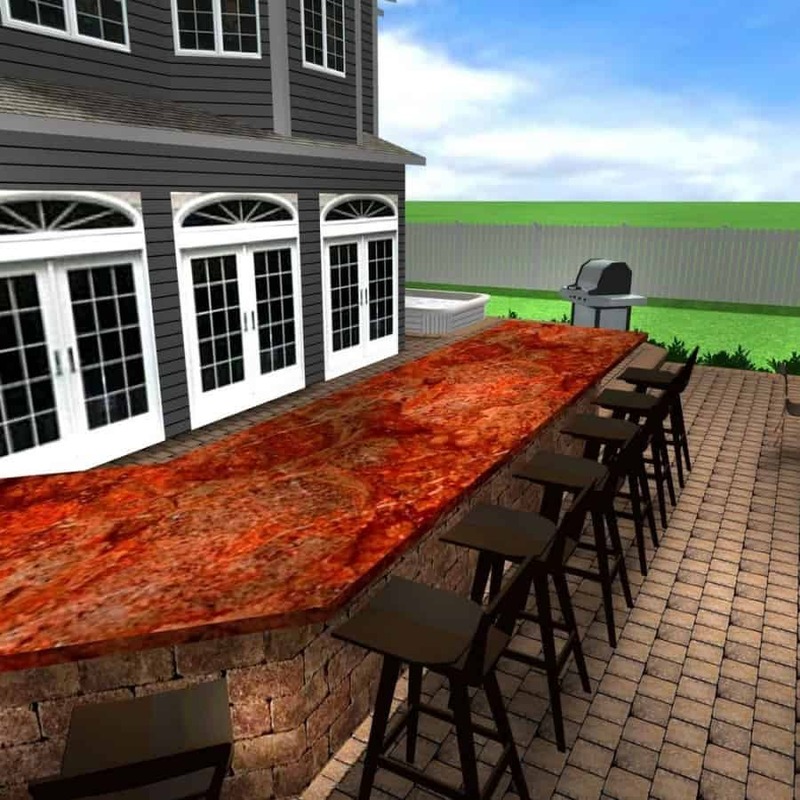 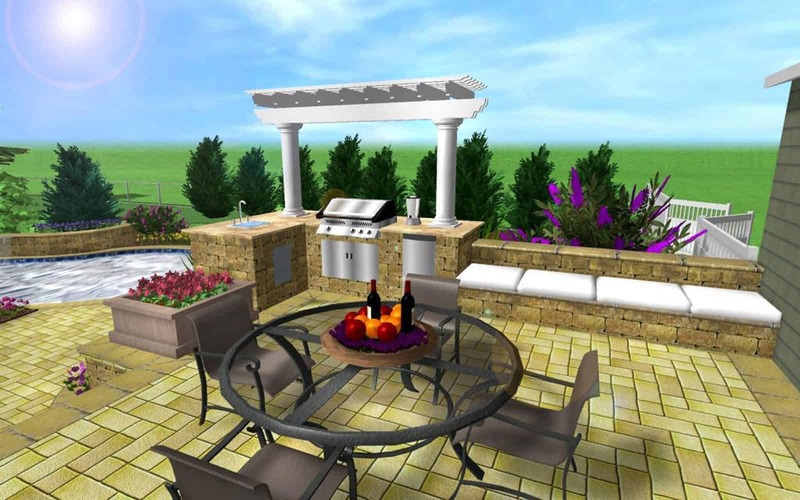 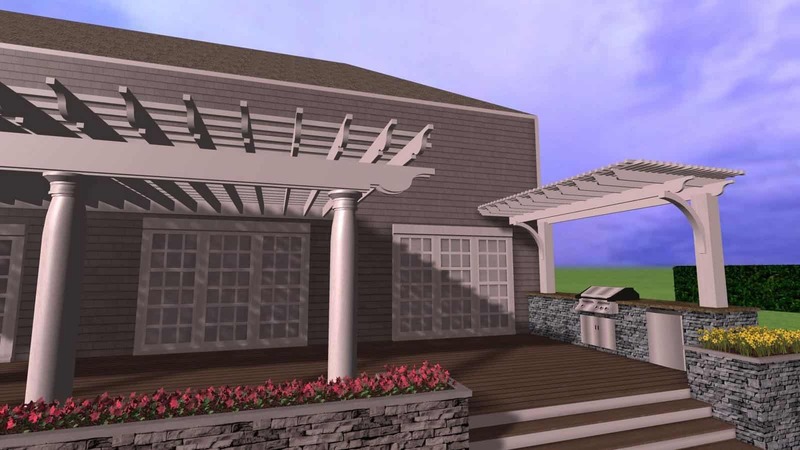 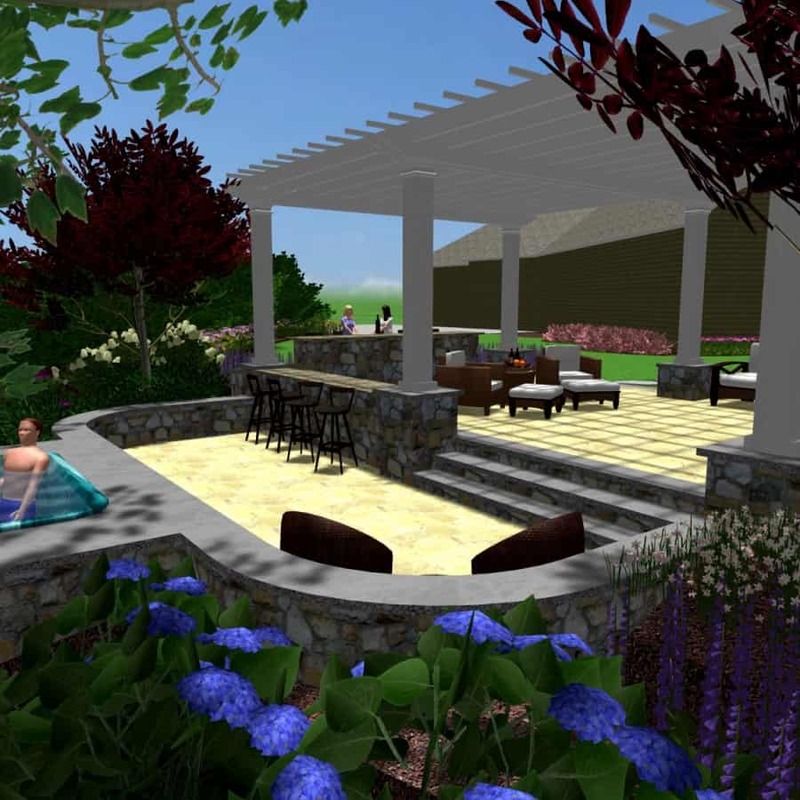 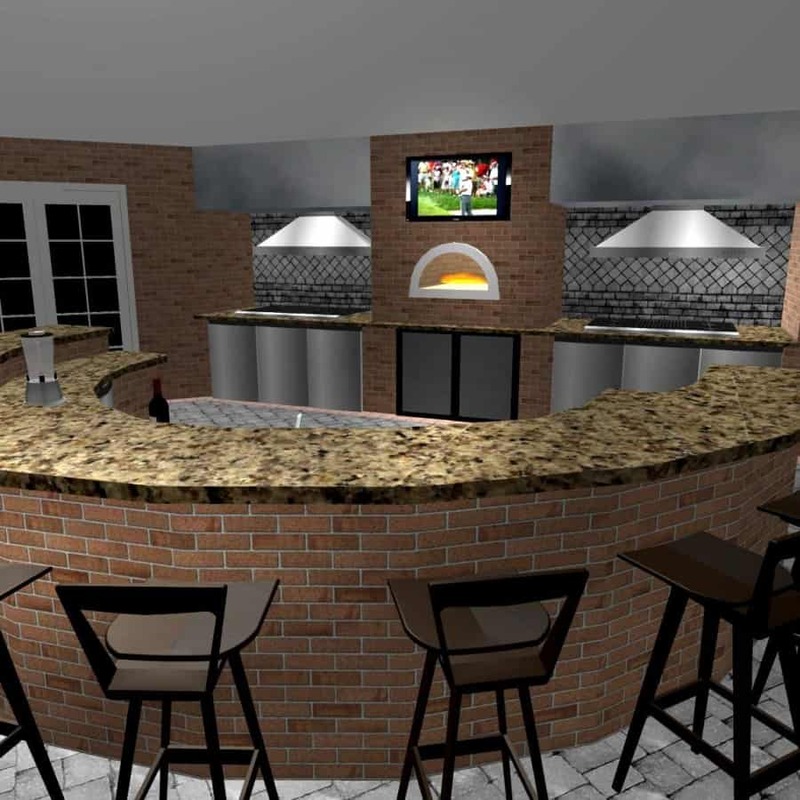 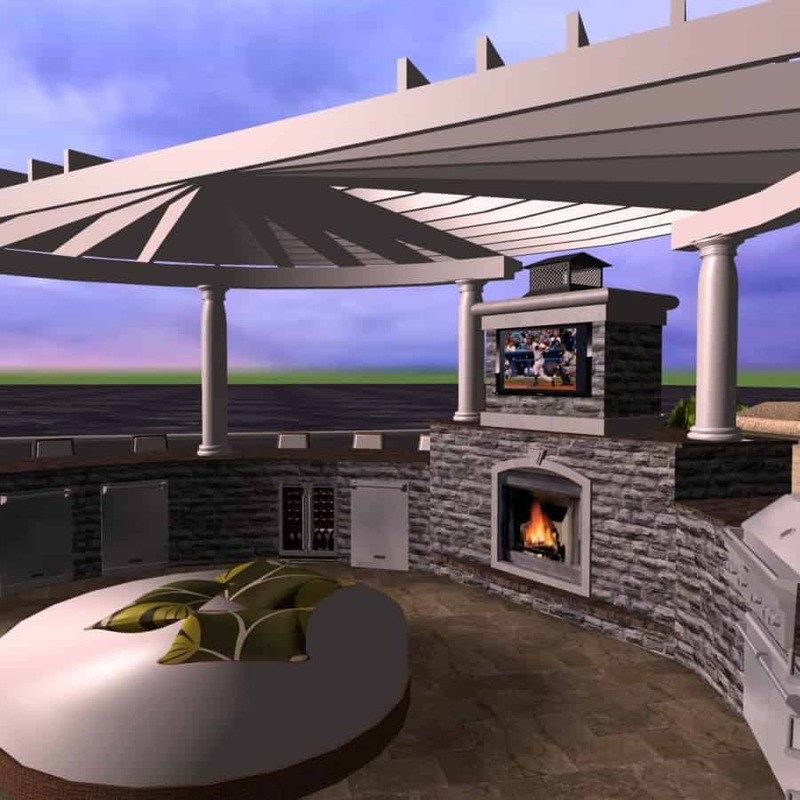 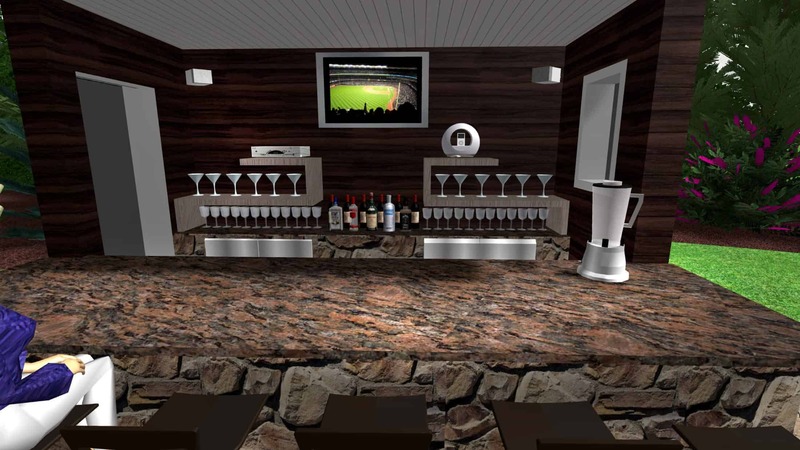 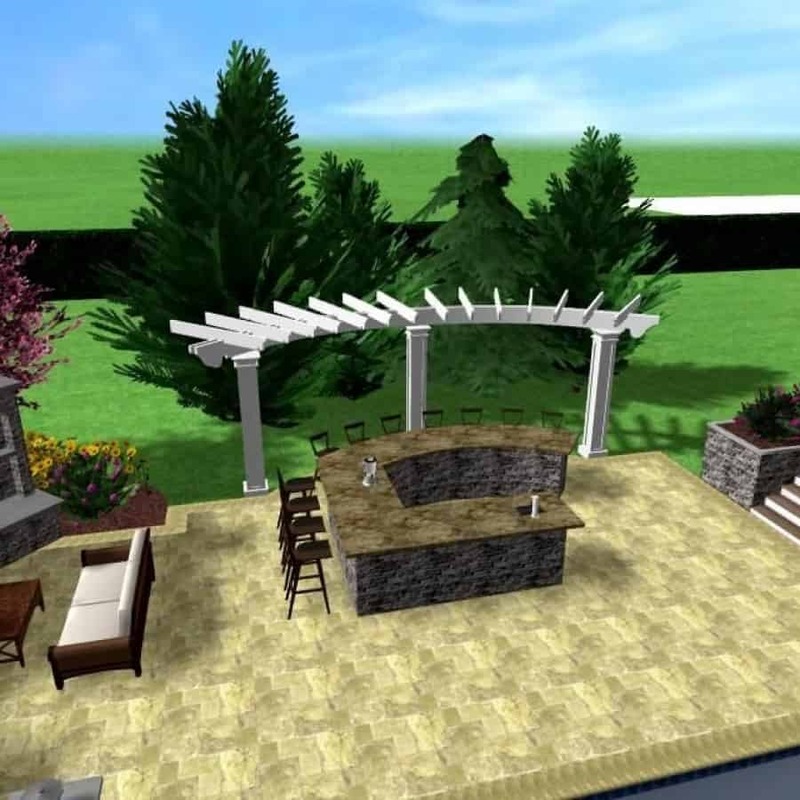 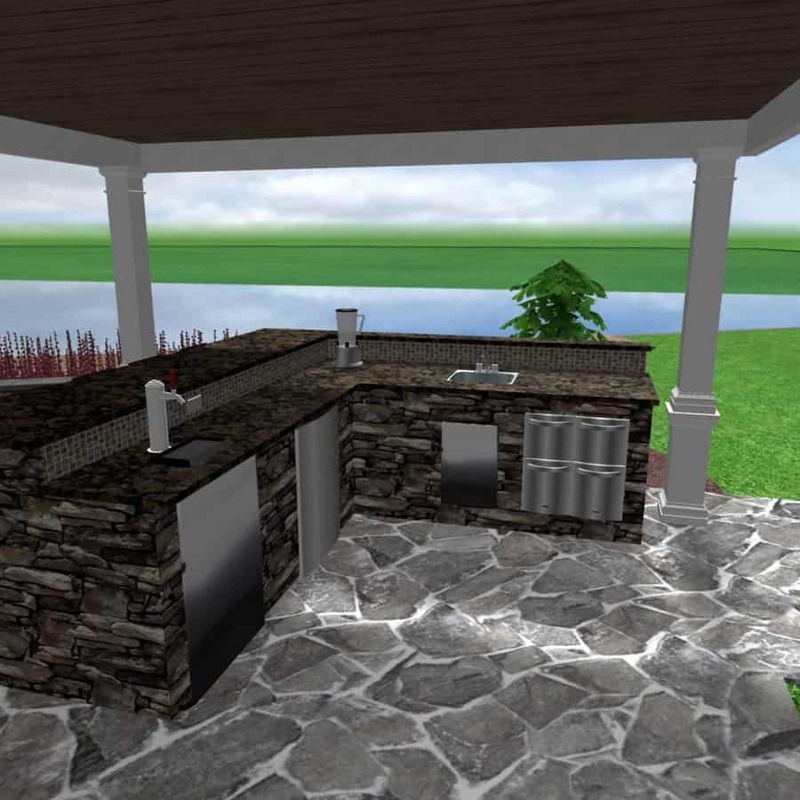 Unique to Green Island Design, we have the ability to present our clients with an astonishingly accurate depiction of their outdoor kitchen, custom bar, or buffet before any of the construction begins. 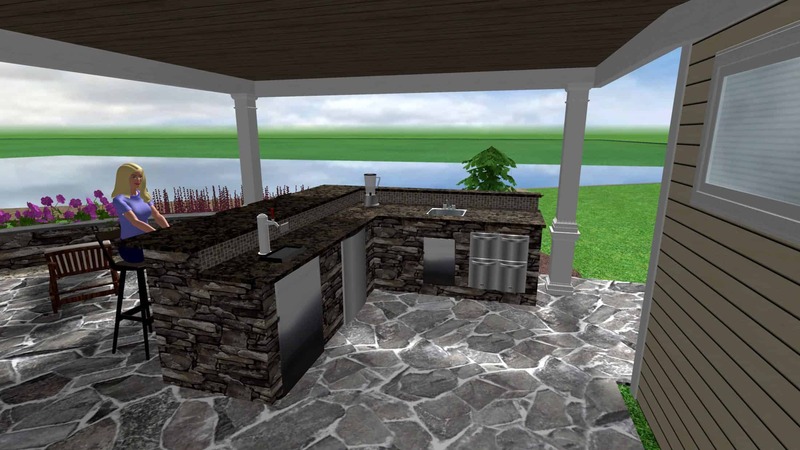 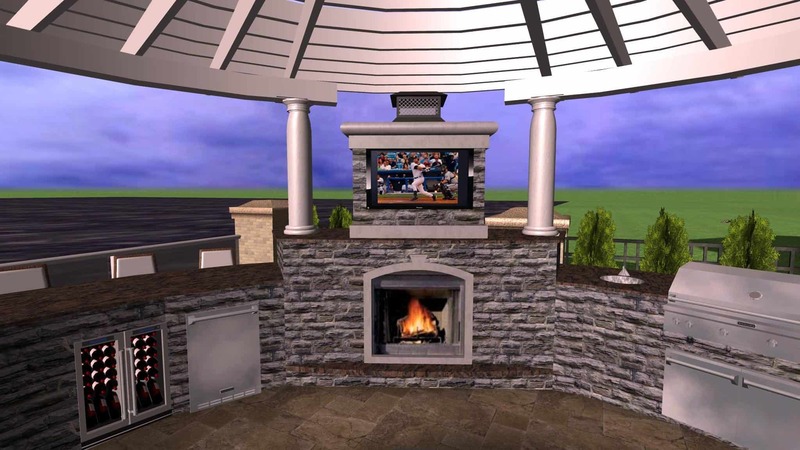 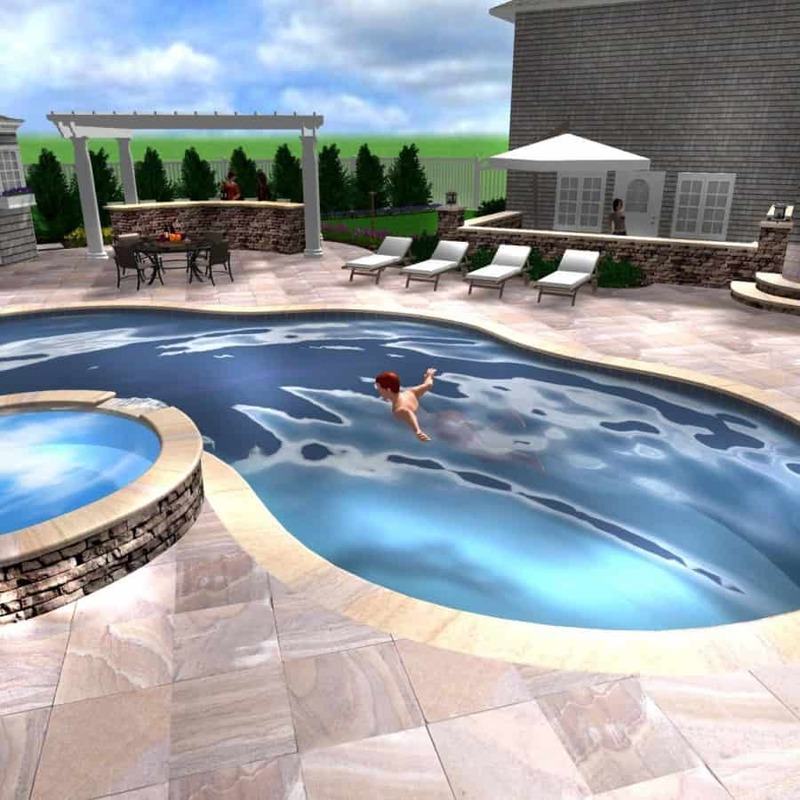 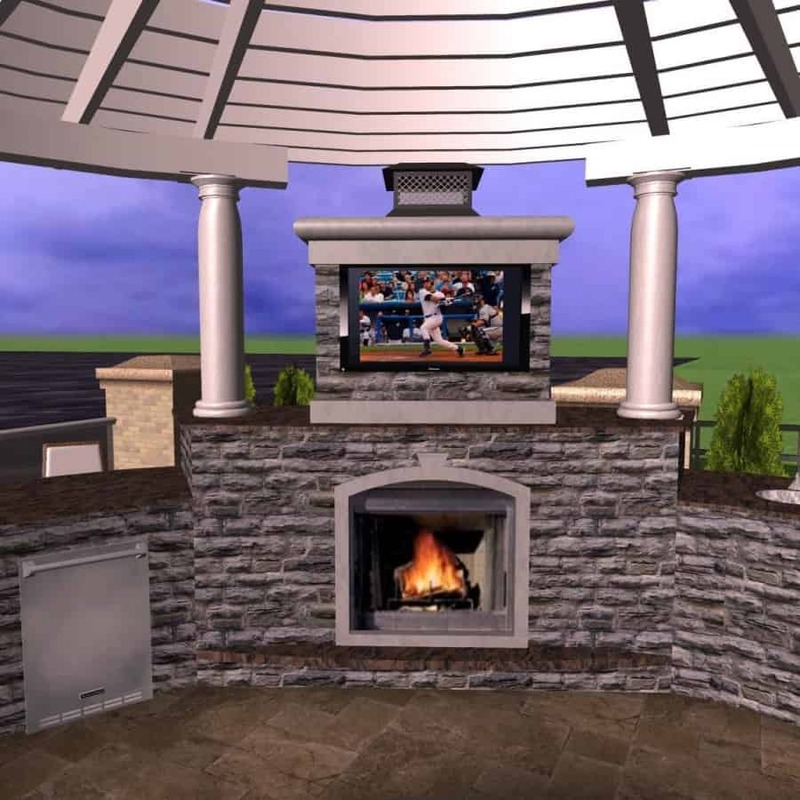 Unlike any other company, we use a combination of highly sophisticated programs to build your actual home as well as all your outdoor kitchen and bar features. 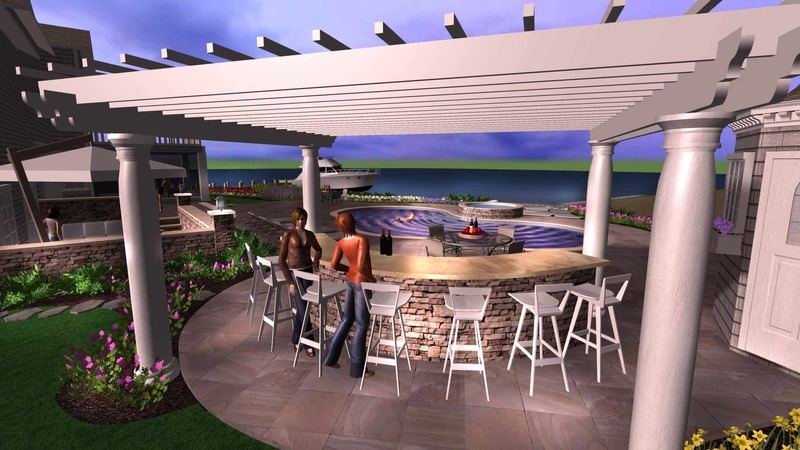 When presented, these renderings provide our clients with a vision unlike anything else they have ever seen. 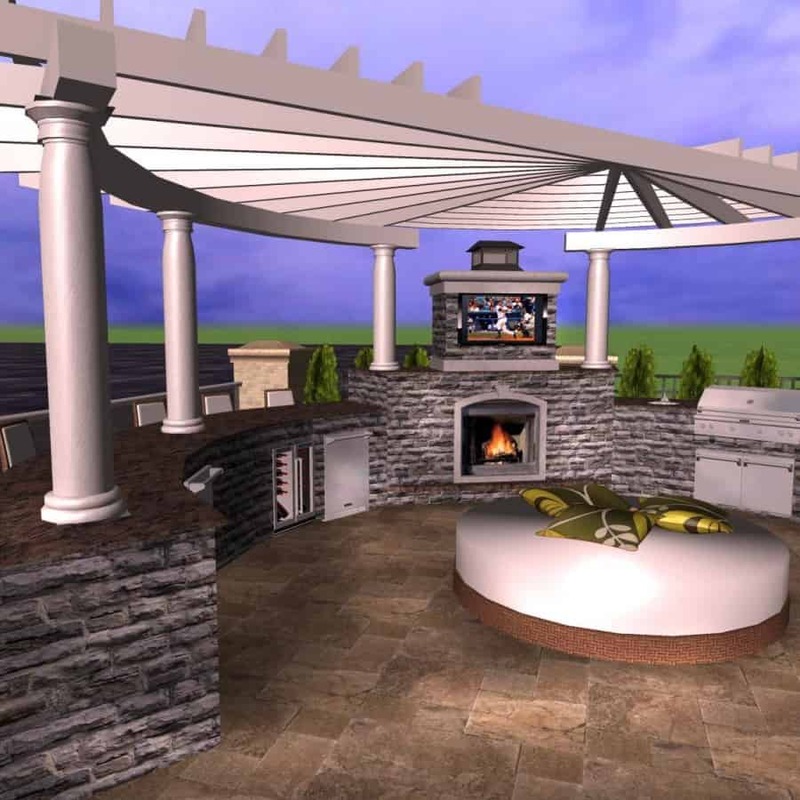 The elements we discussed in our initial design consultation are now fully realized, allowing our clients to visually enjoy the endless possibilities. 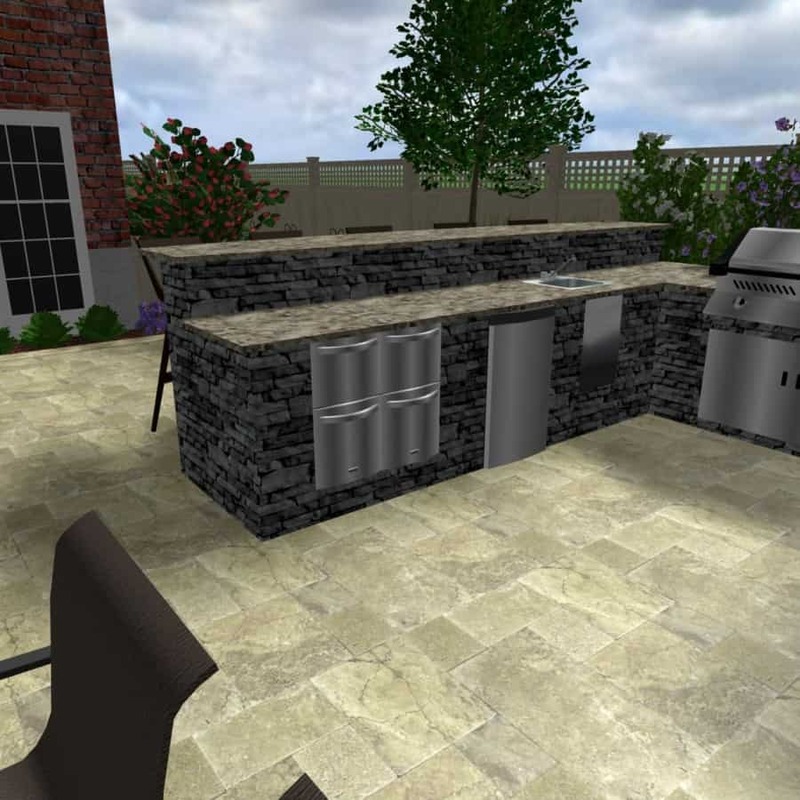 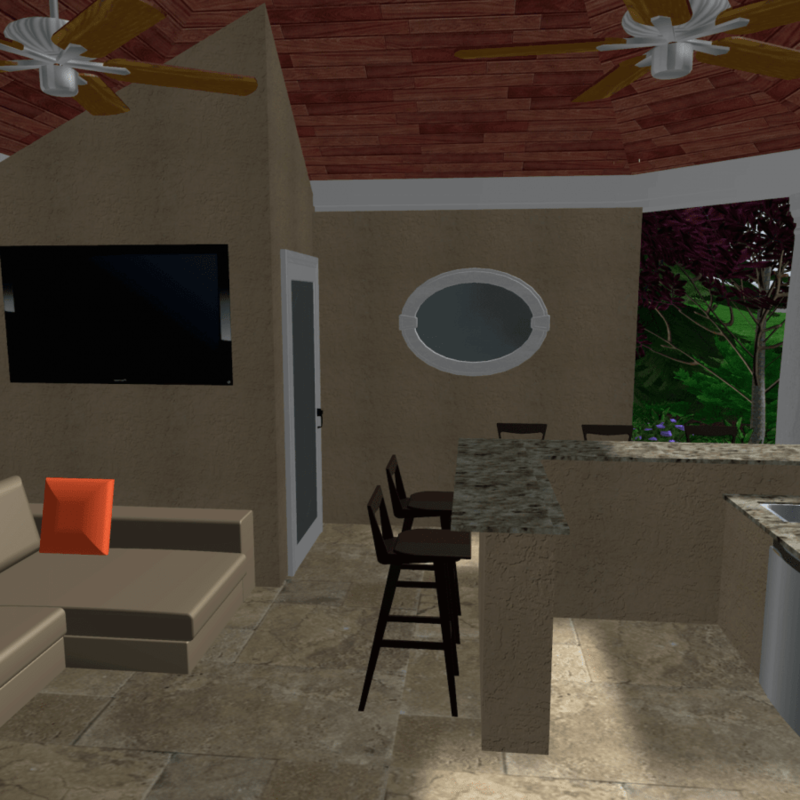 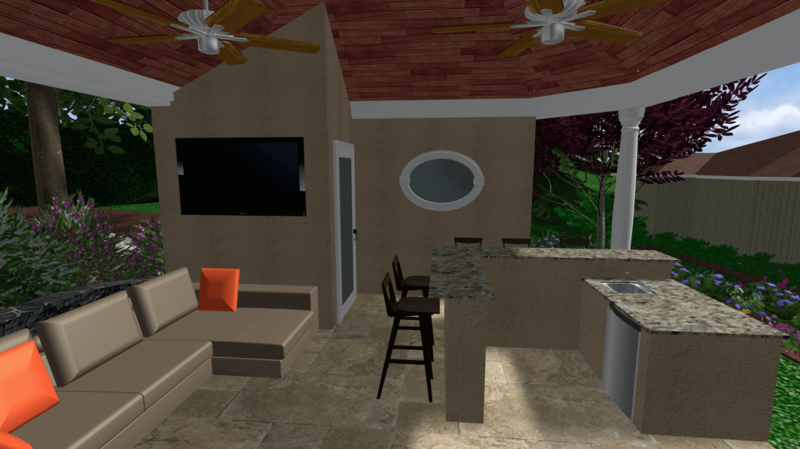 Along with the stunning concepts, we have the ability to change materials, sizes, and dimensions such as stone veneer, granite counter tops or stainless steel appliances with the click of a button with our clients sitting next to us. 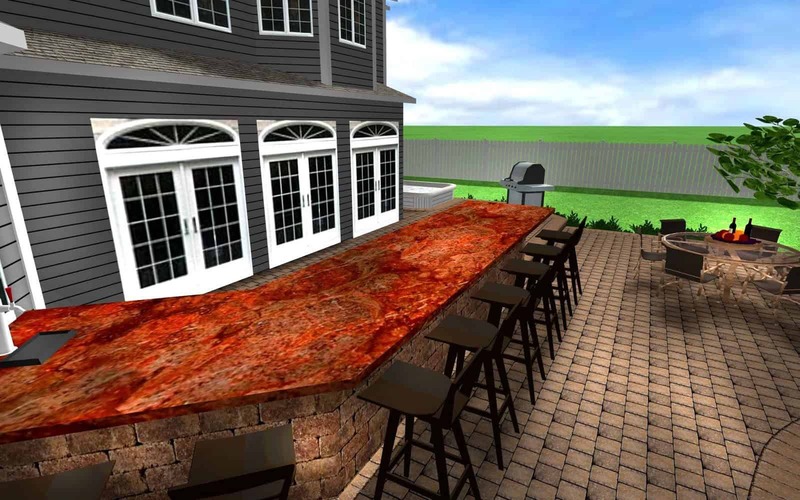 This groundbreaking concept eliminates any of the questions, concerns, or guess work involved in outdoor kitchen & bar construction. 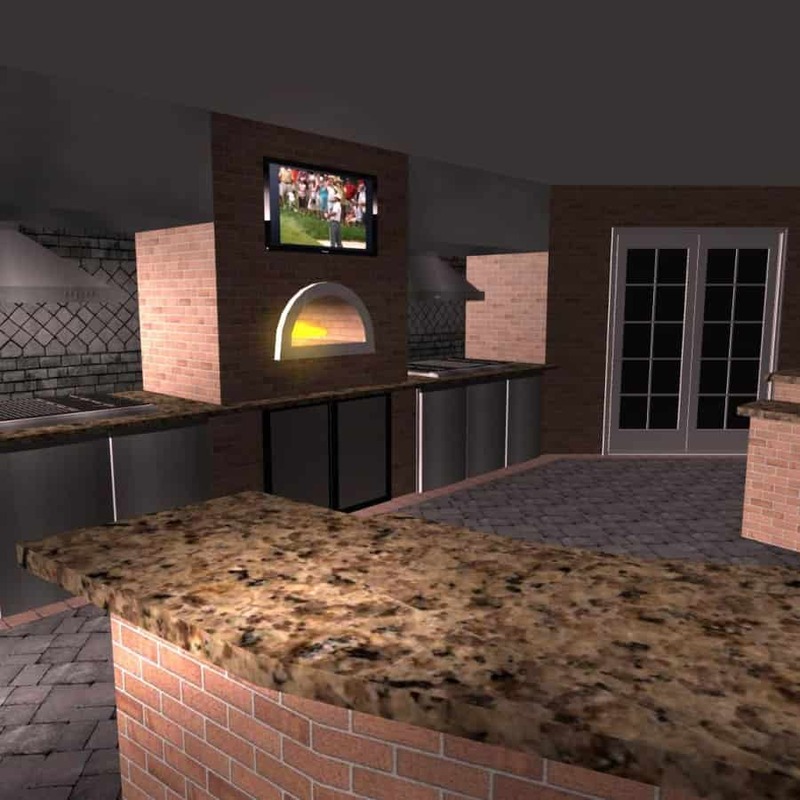 You will know exactly how the kitchen or bar project will look, know how much it will cost, and have the ability to make any changes at any time. 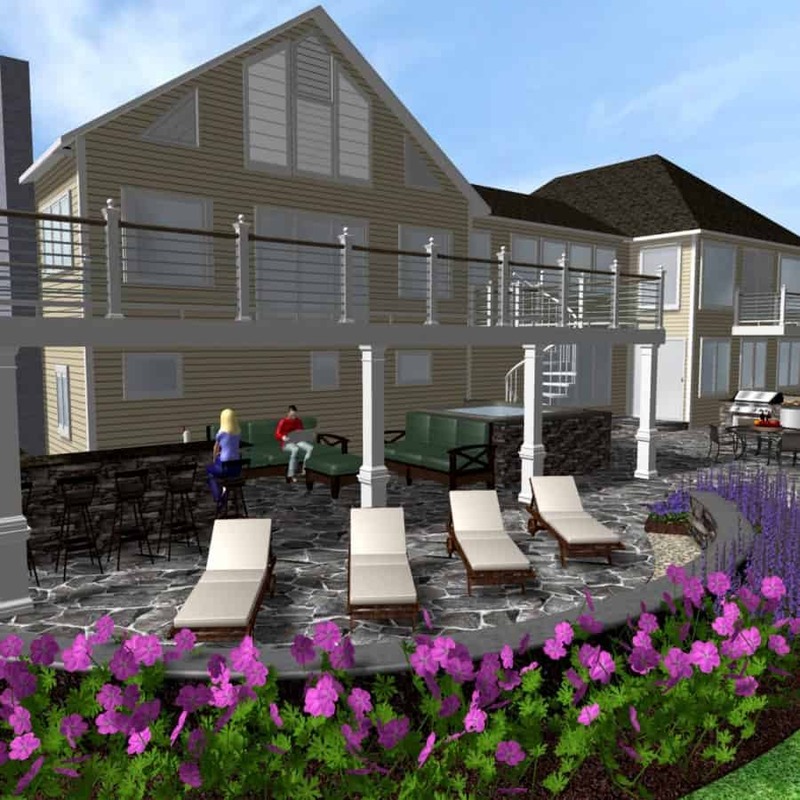 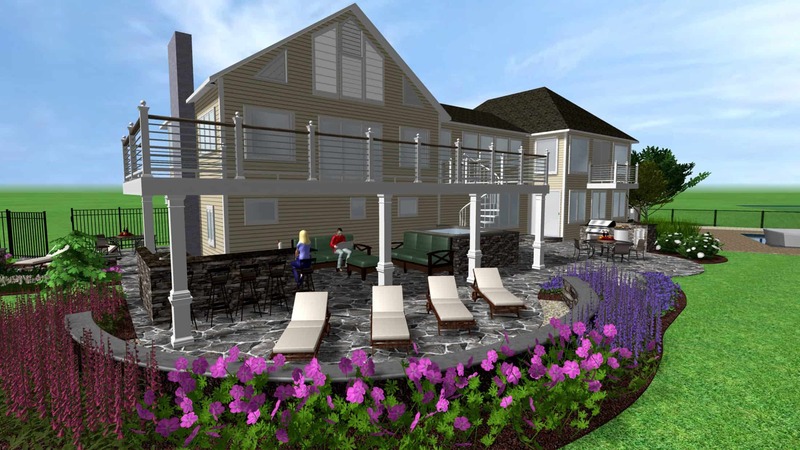 This is truly the future of landscape design on Long Island!